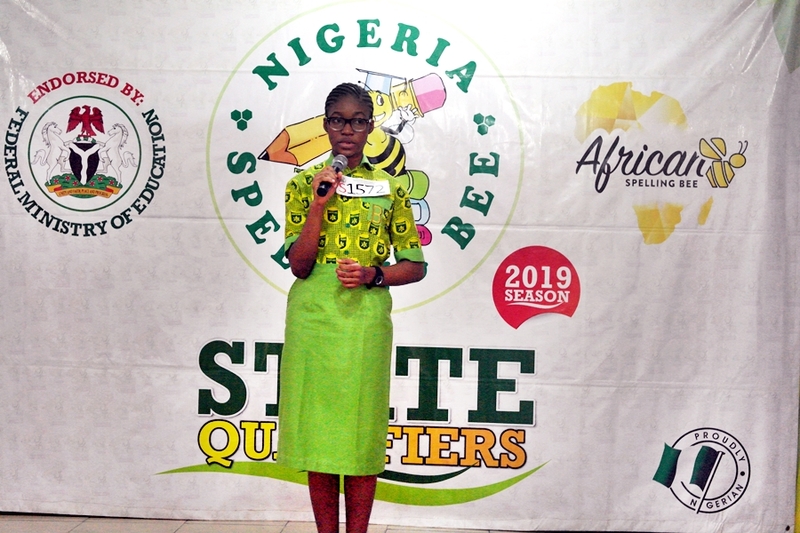 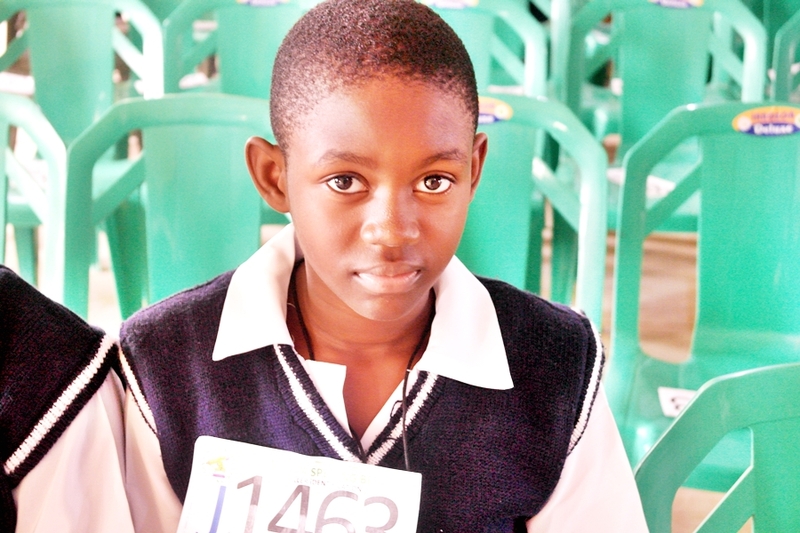 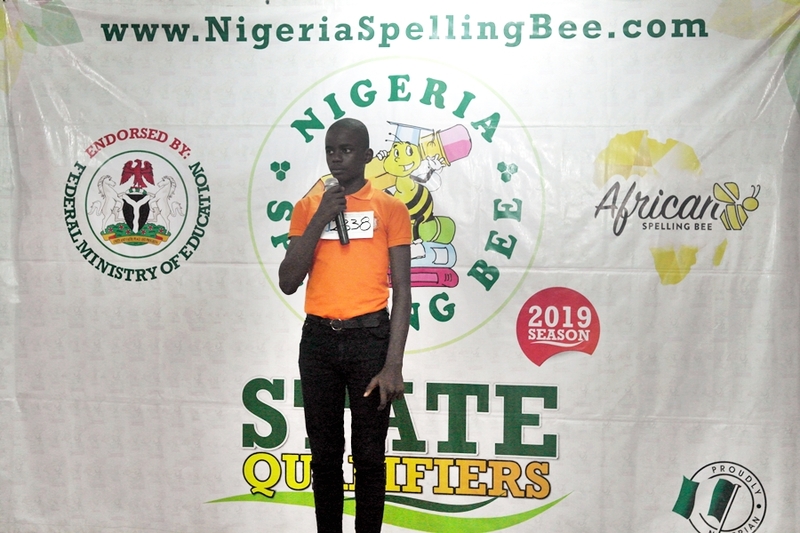 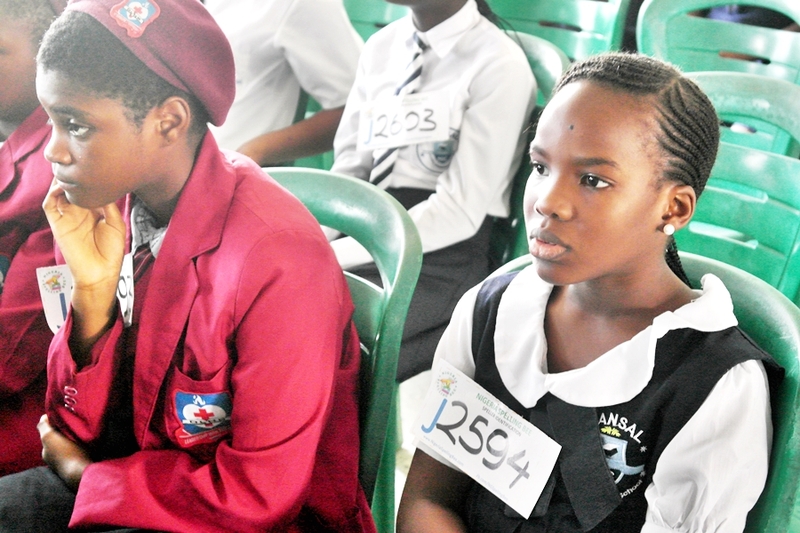 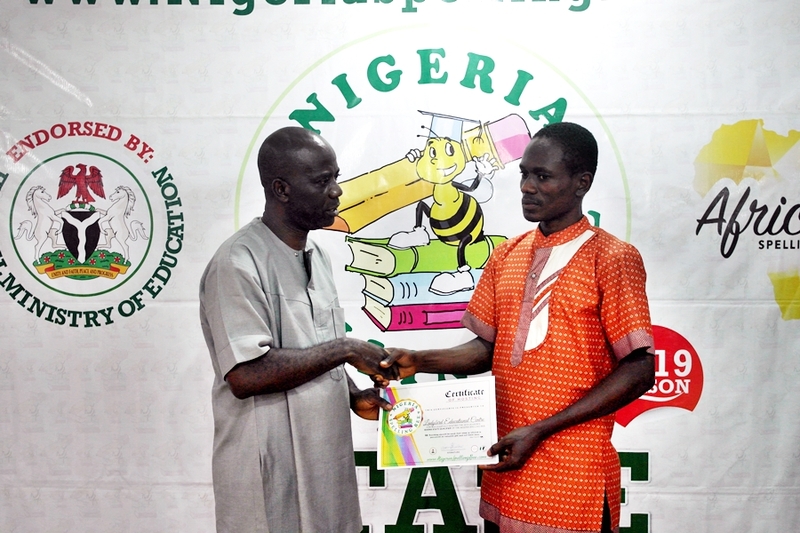 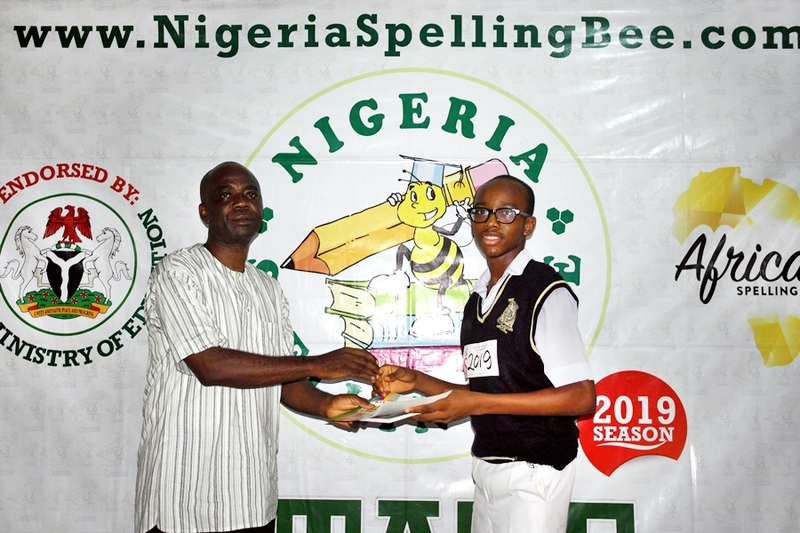 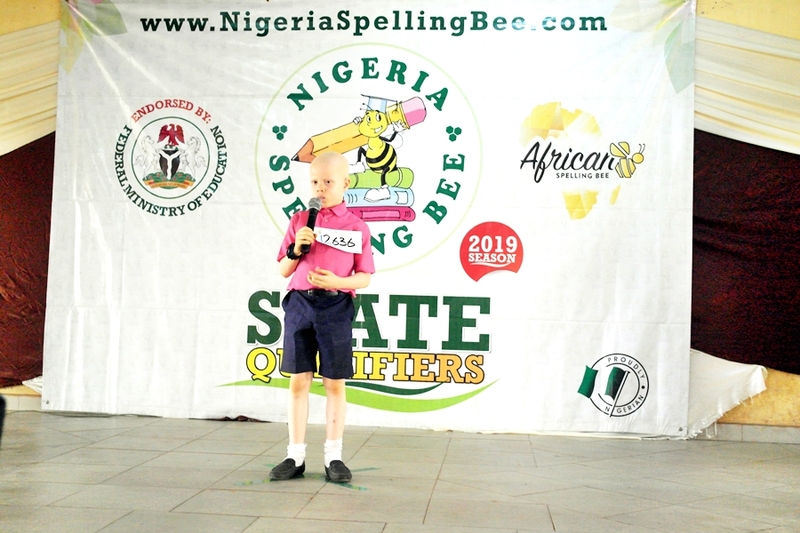 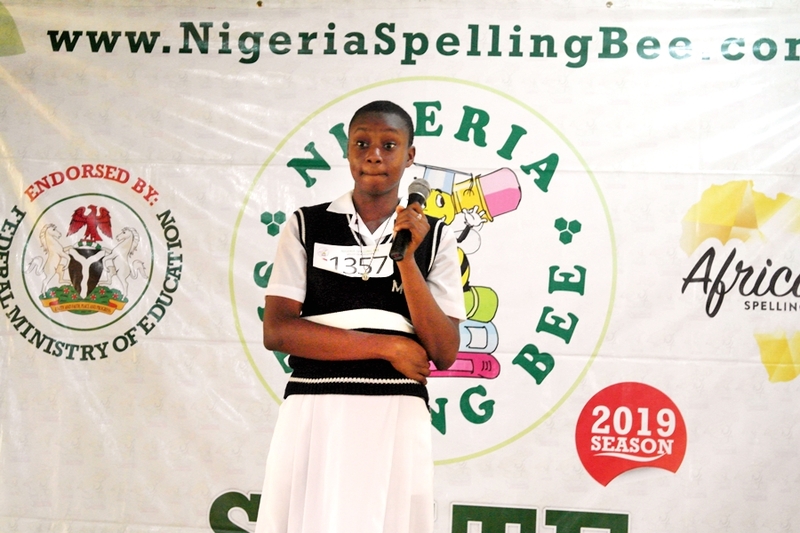 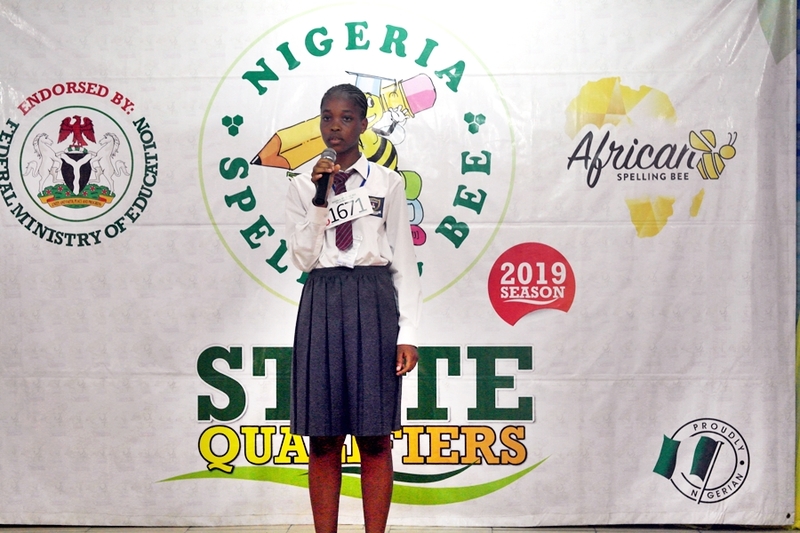 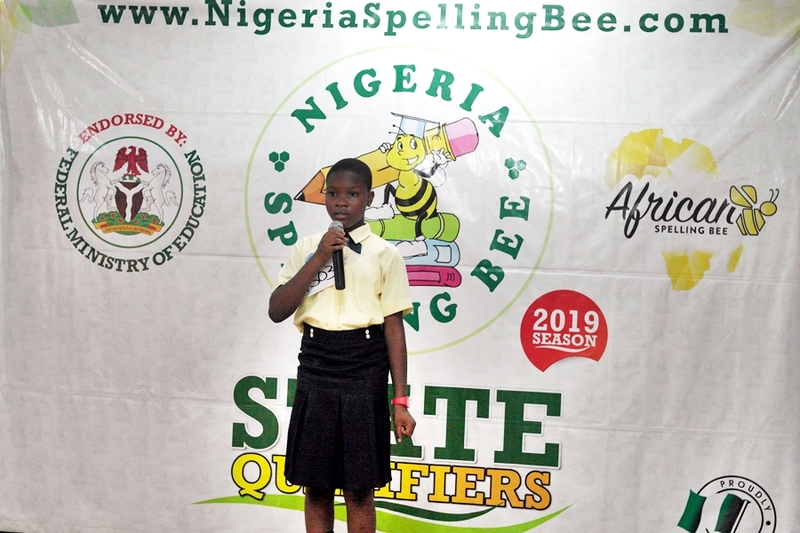 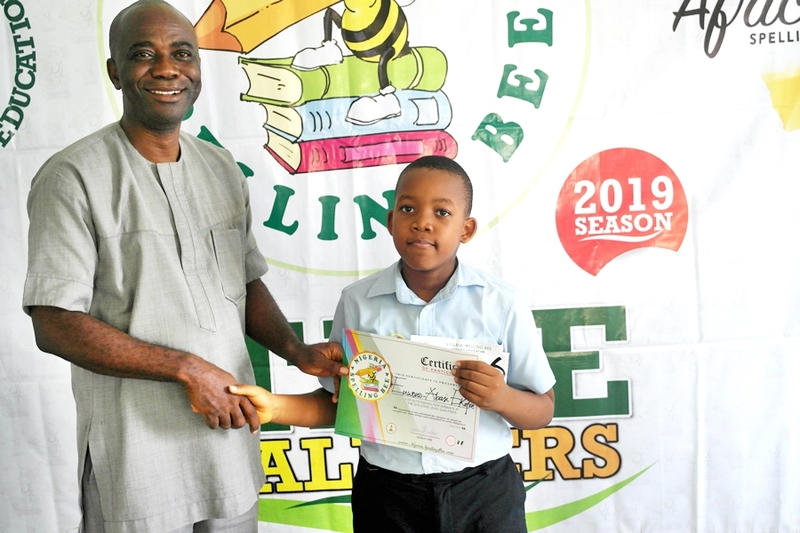 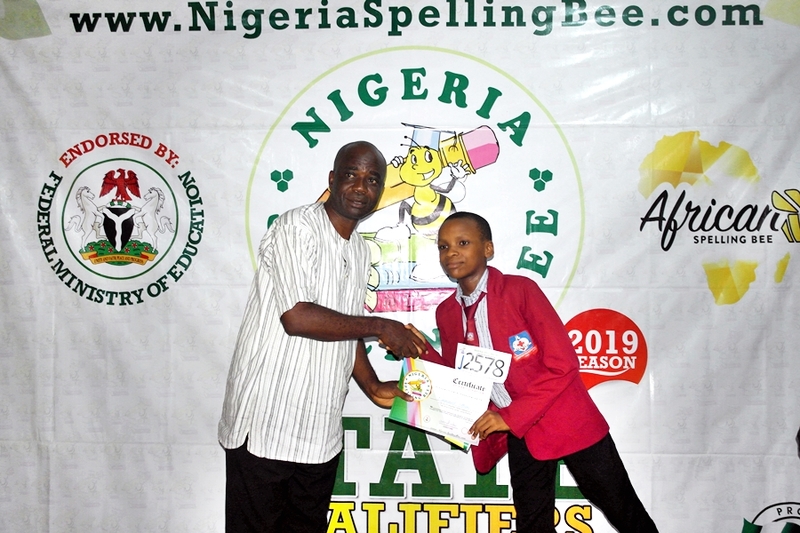 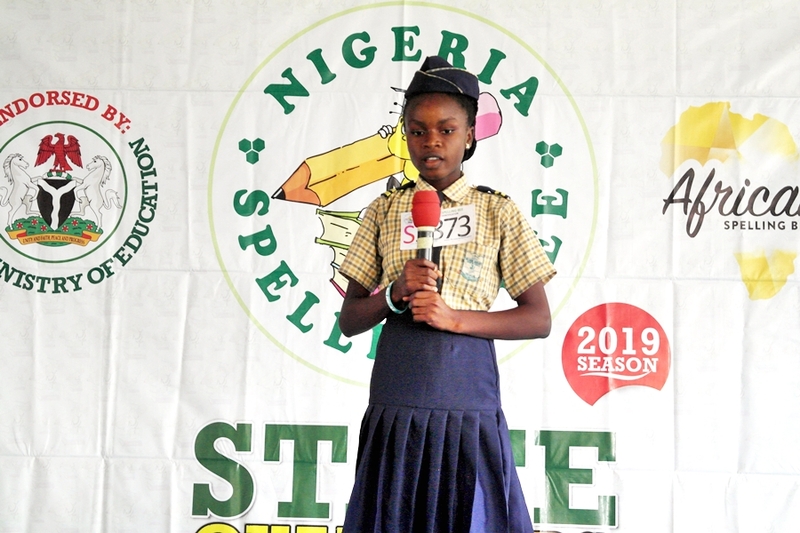 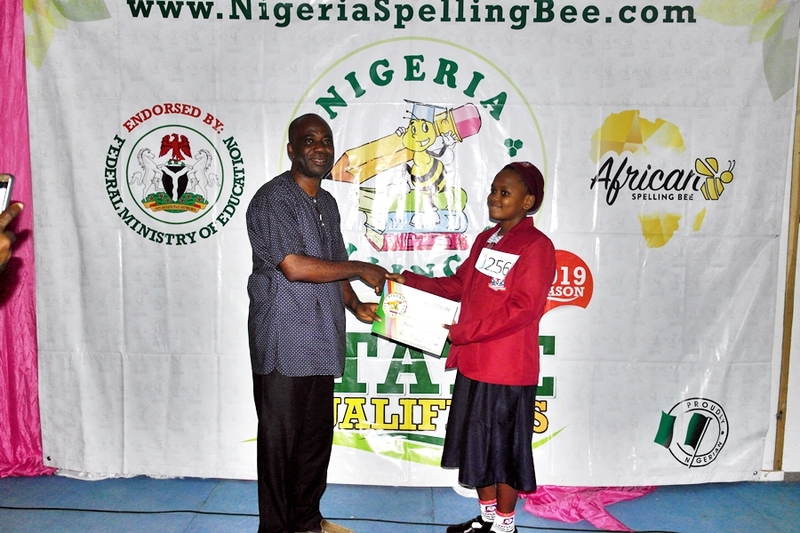 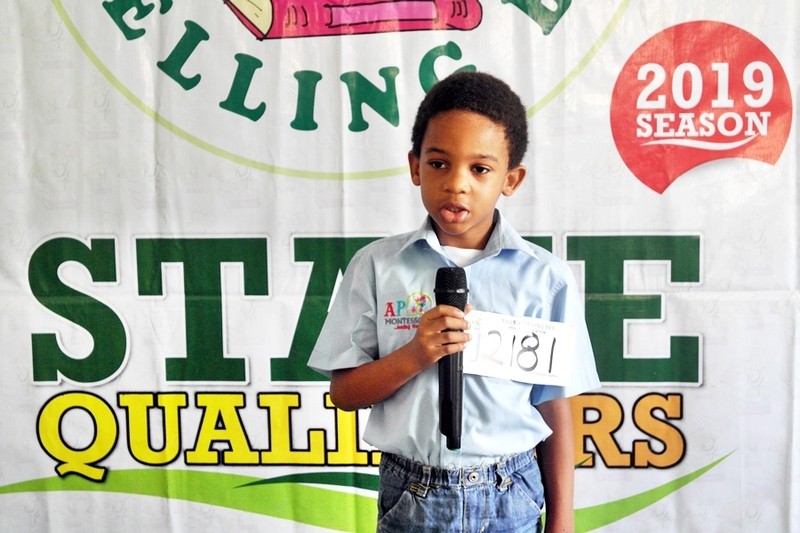 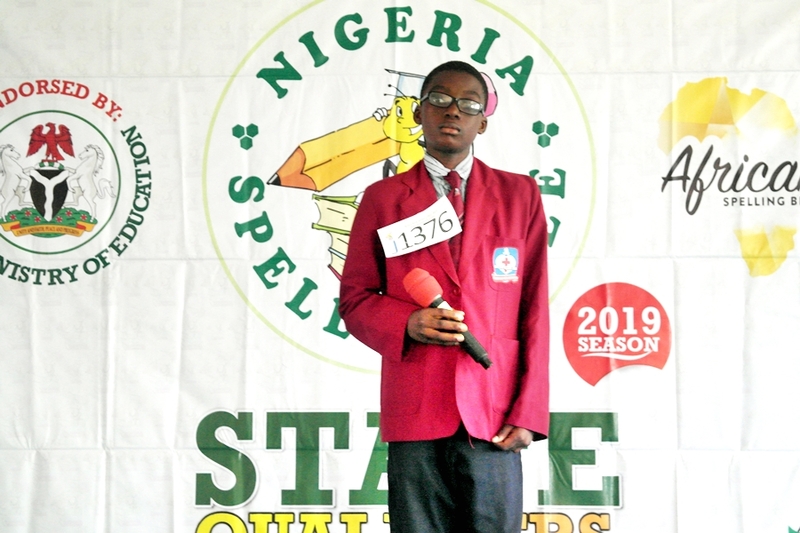 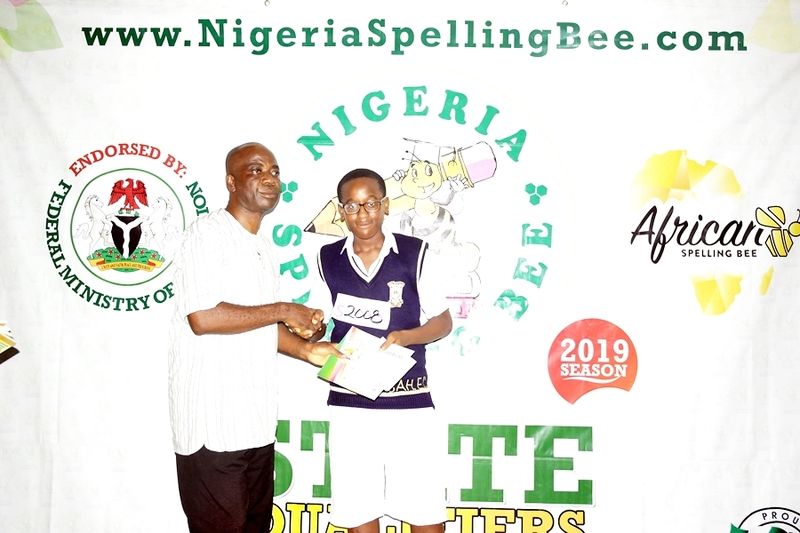 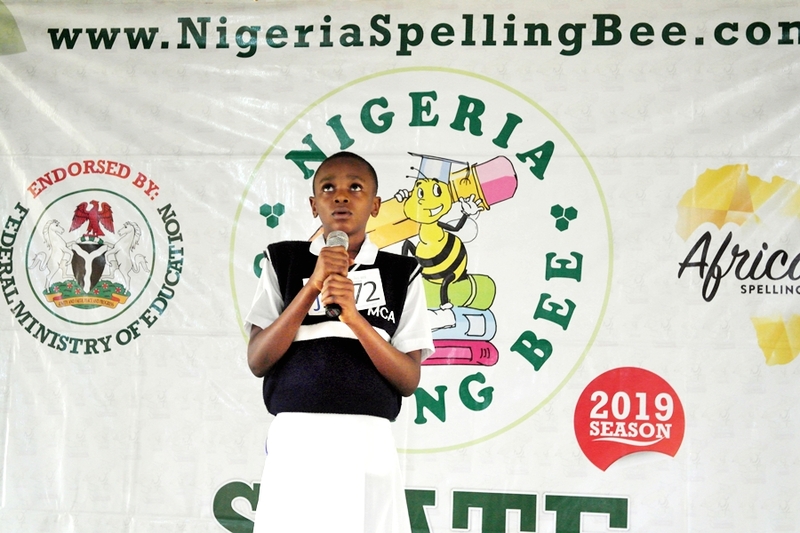 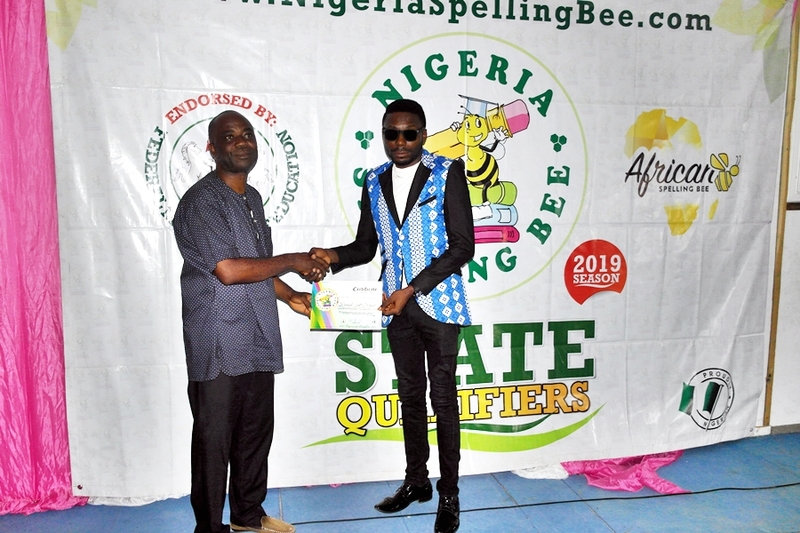 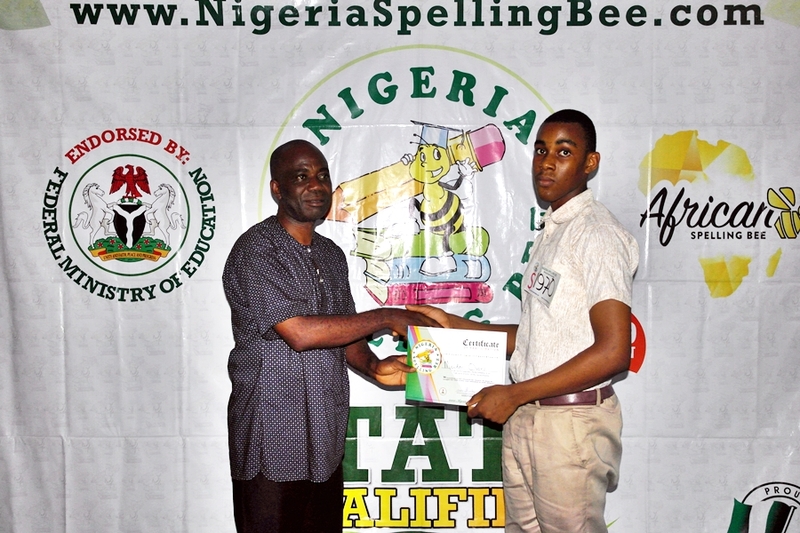 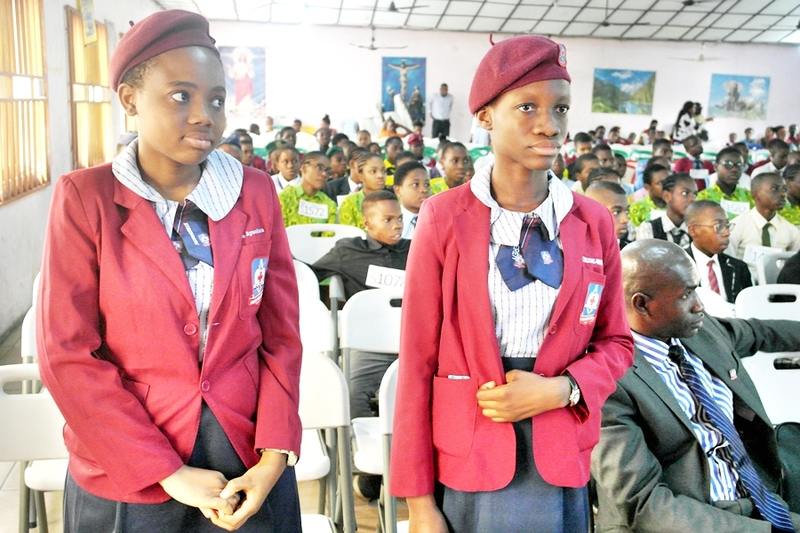 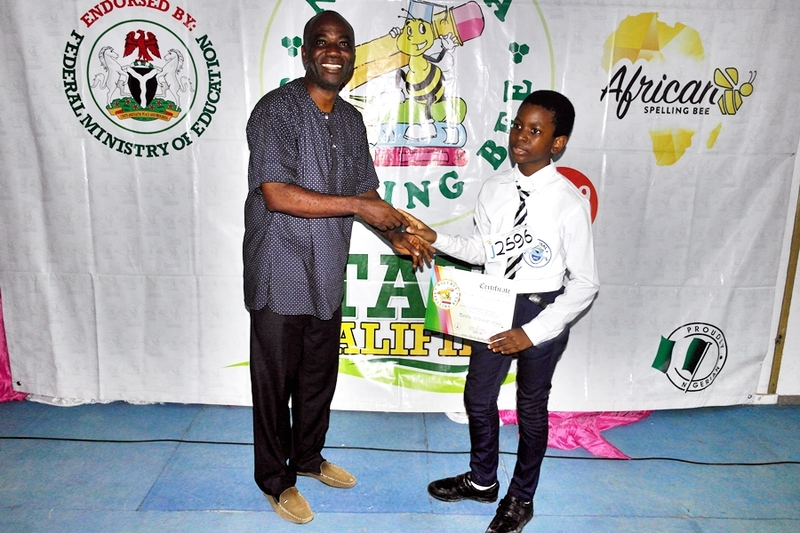 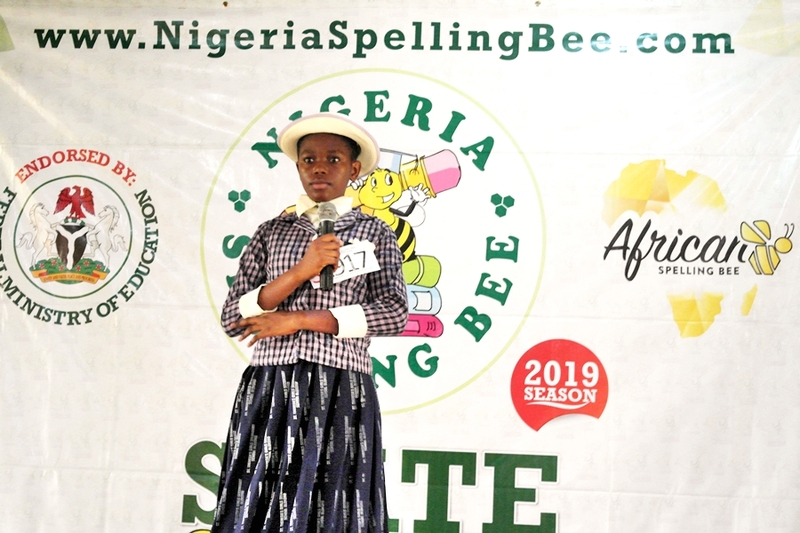 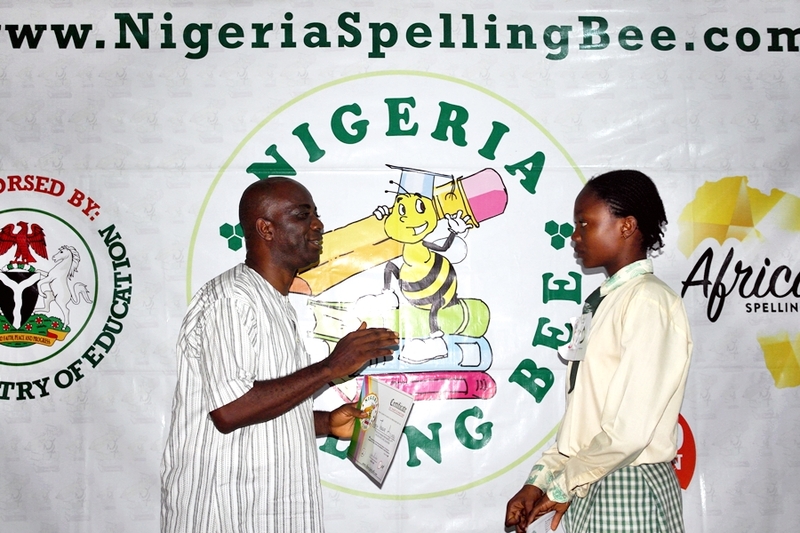 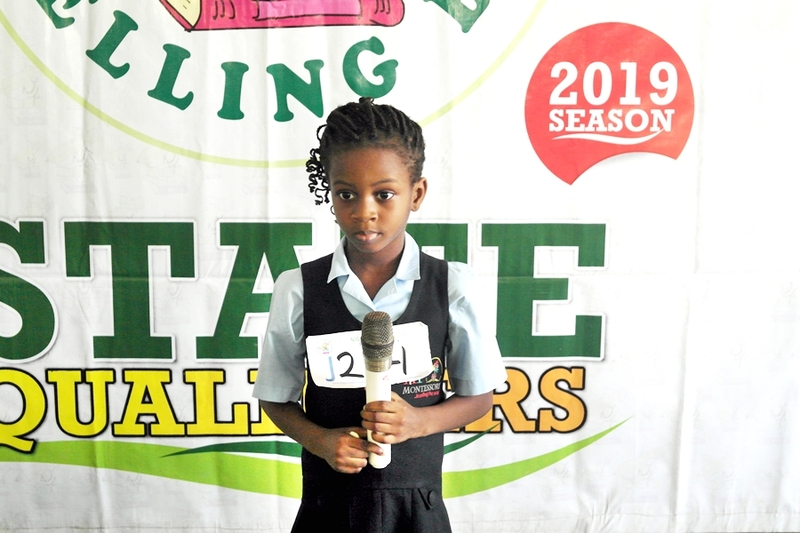 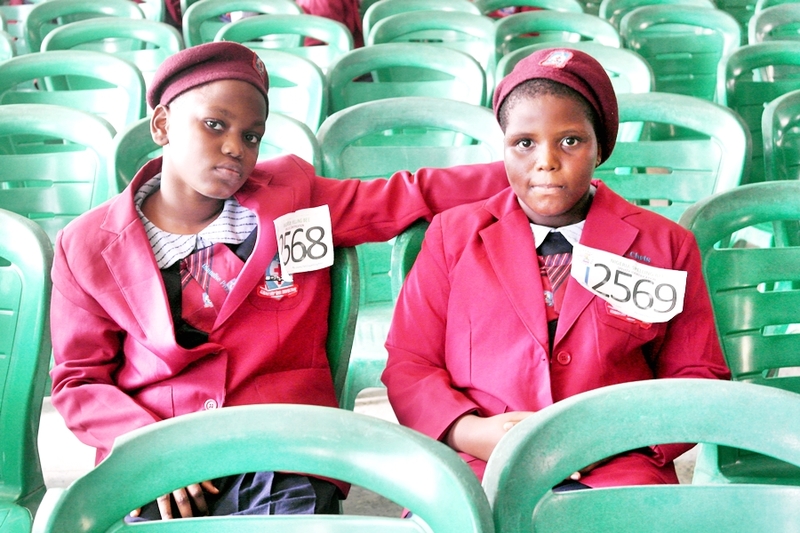 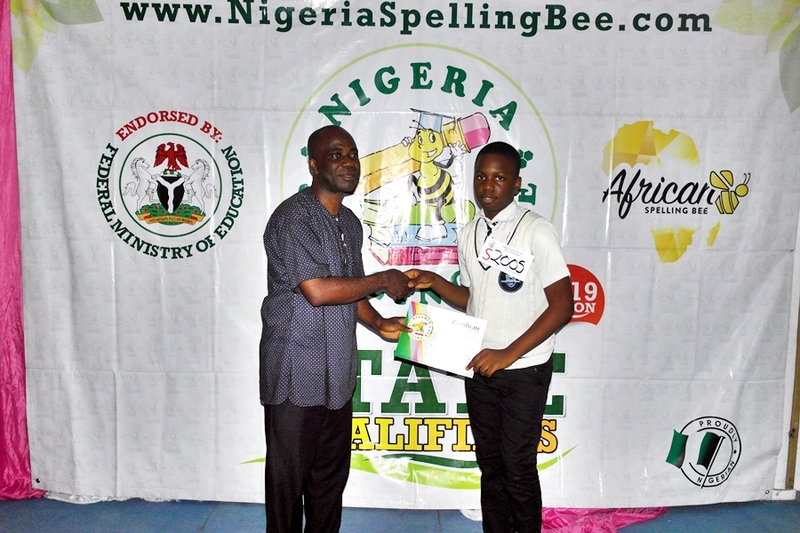 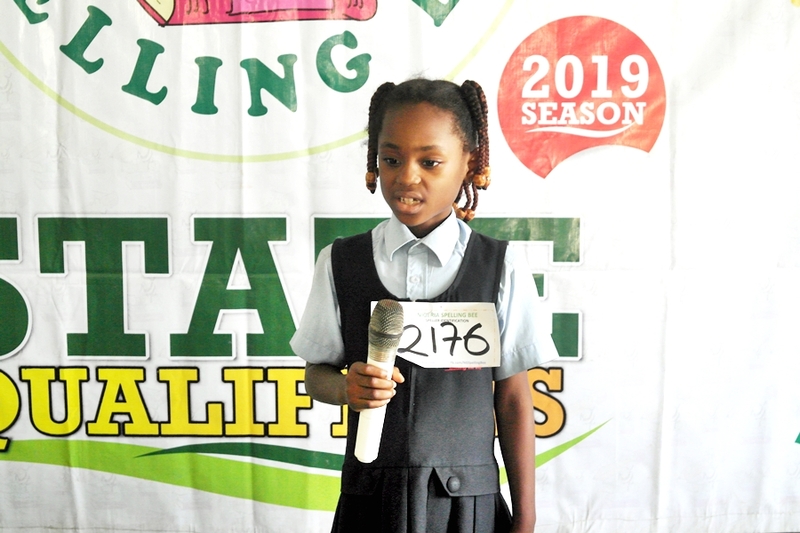 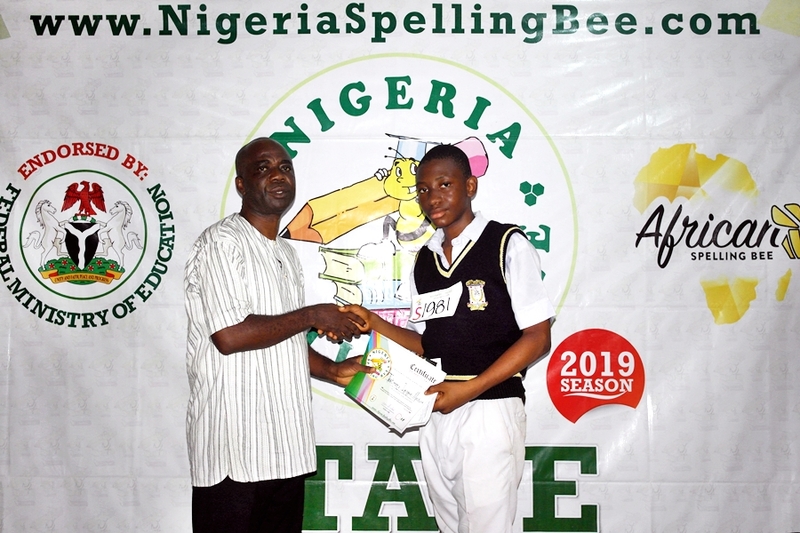 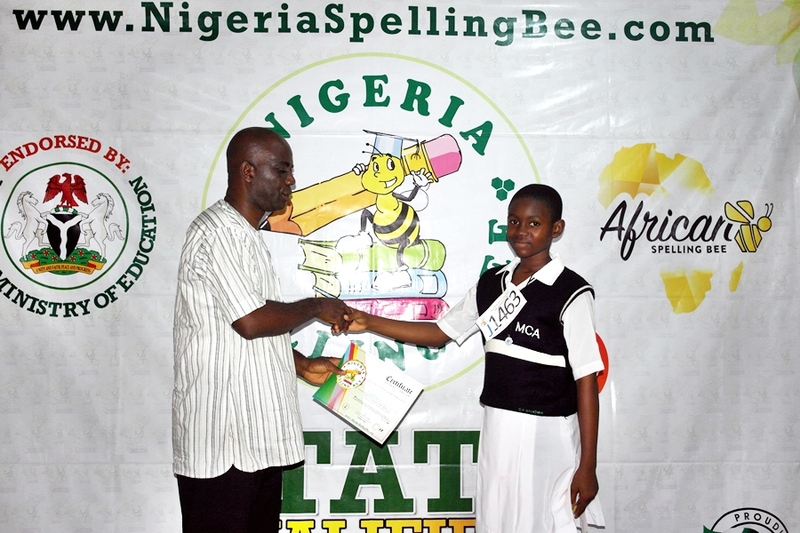 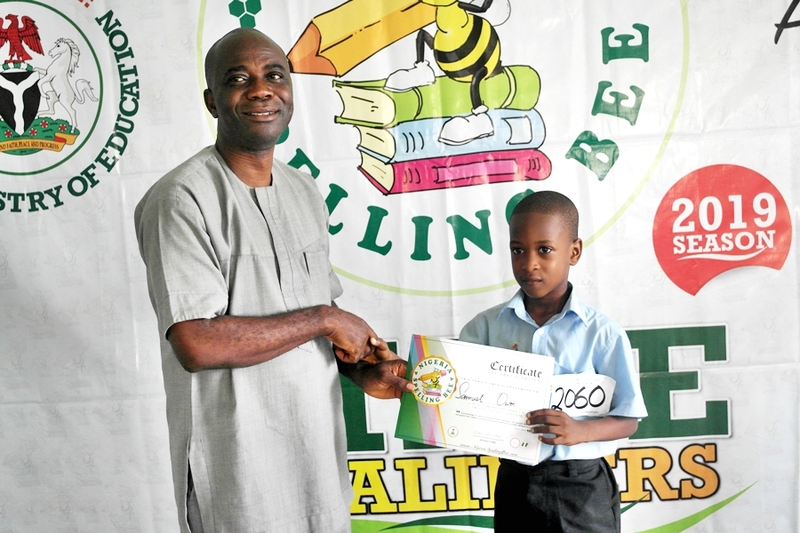 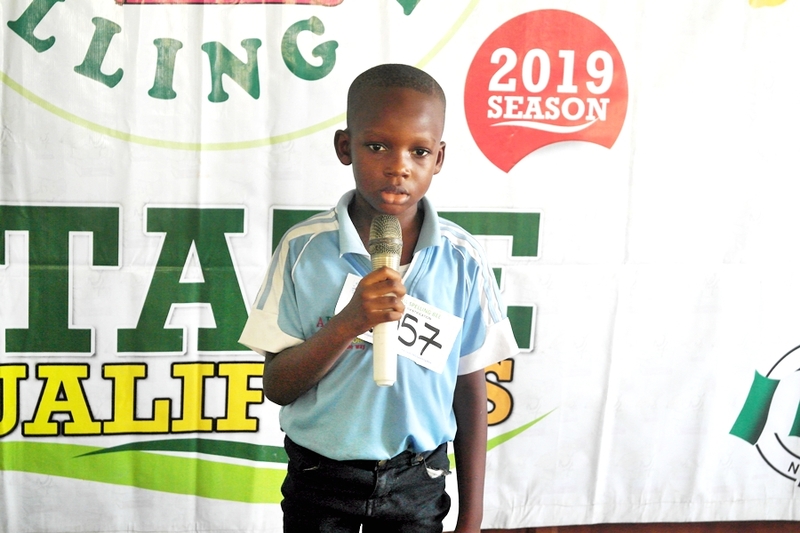 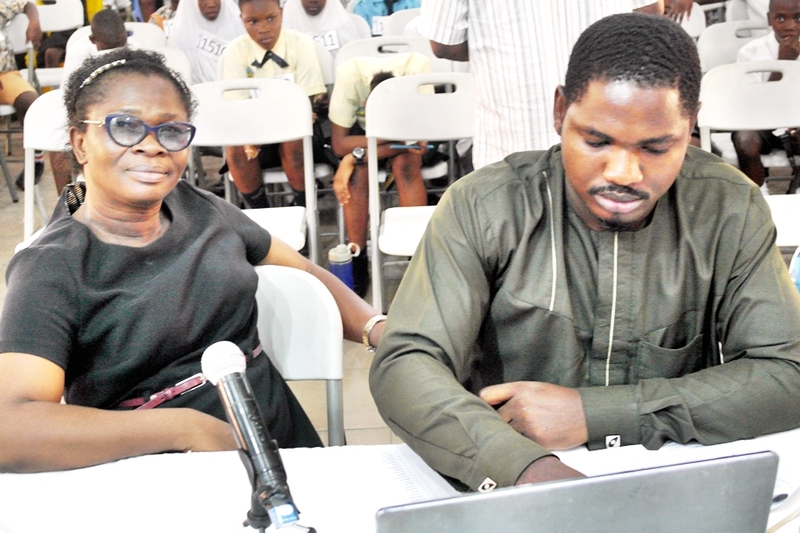 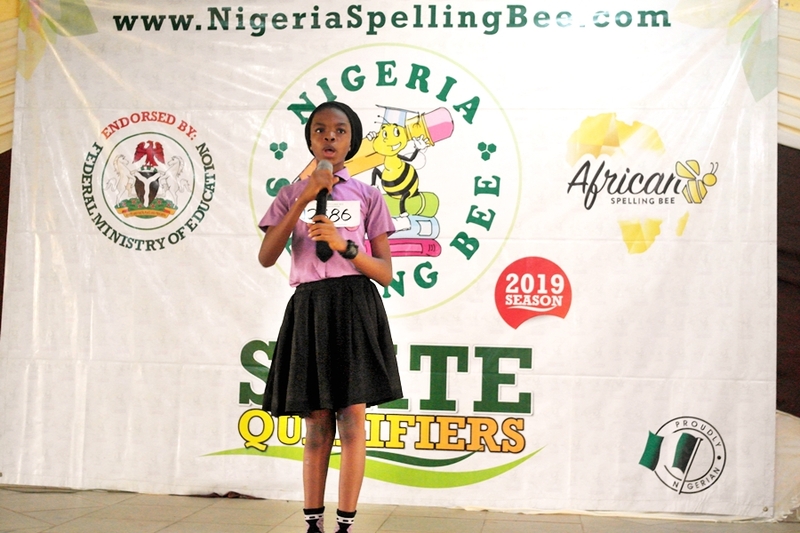 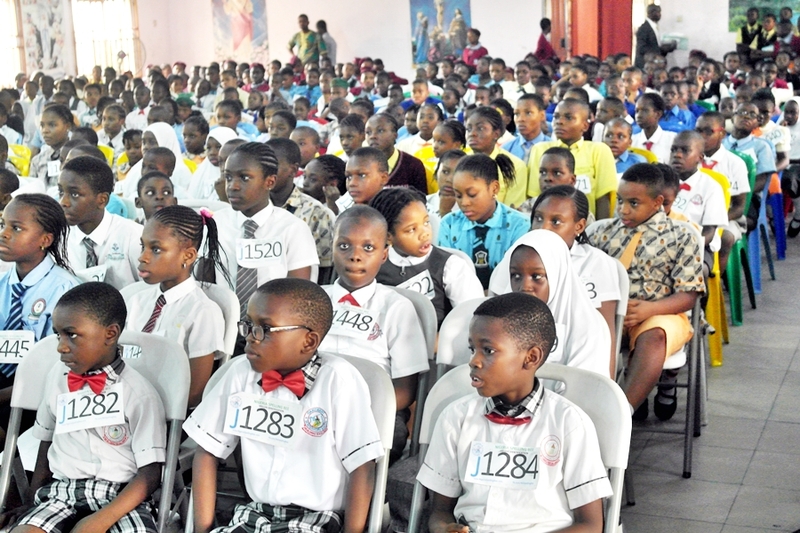 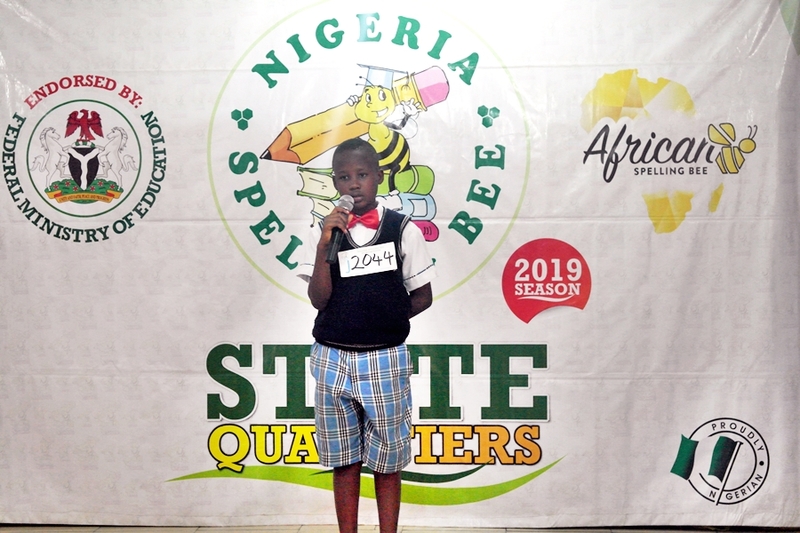 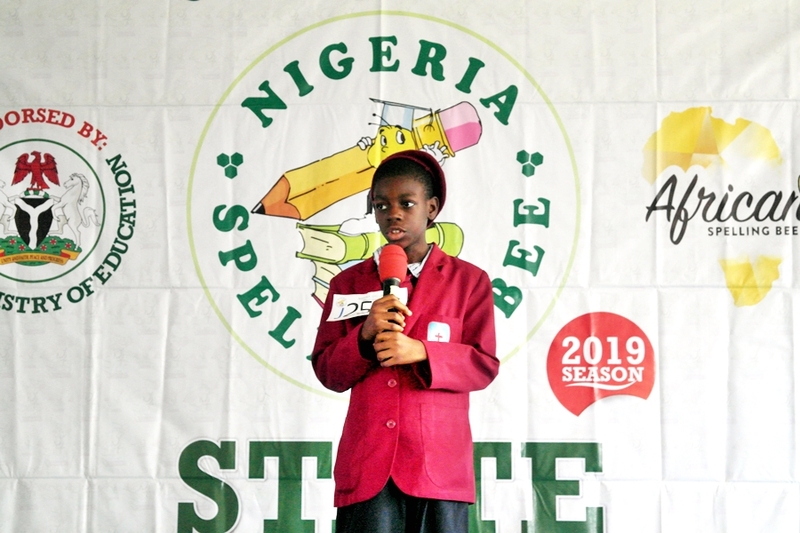 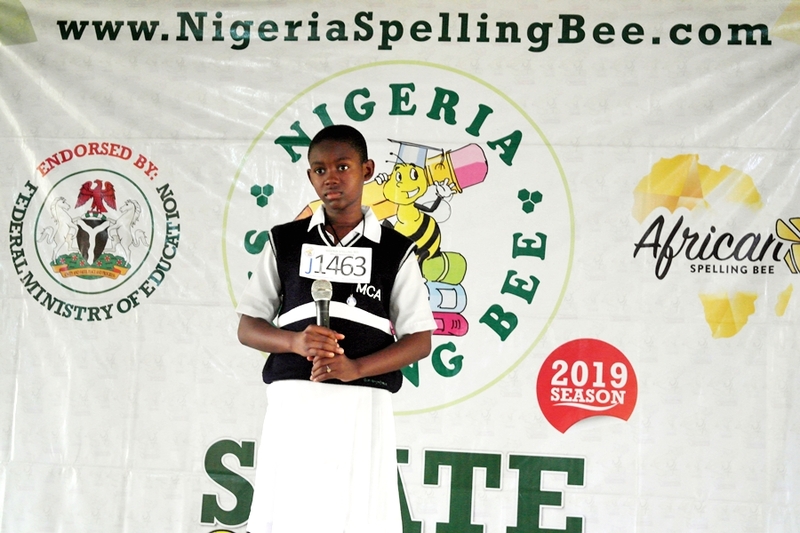 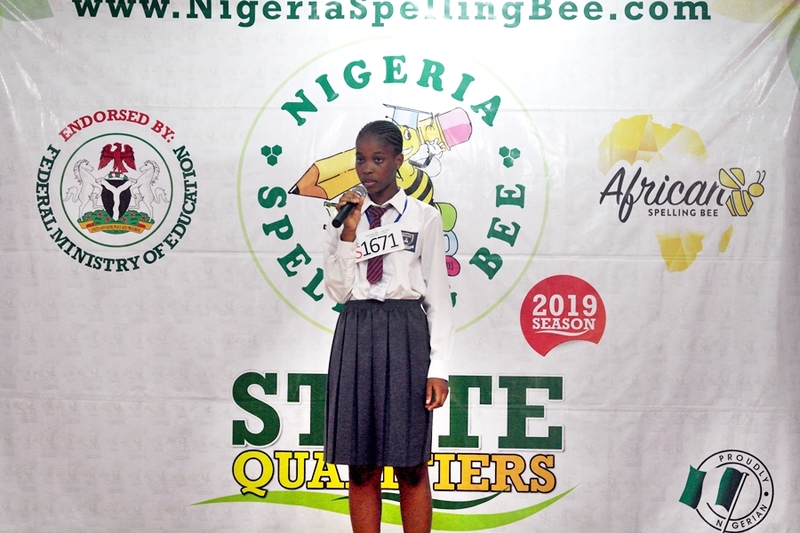 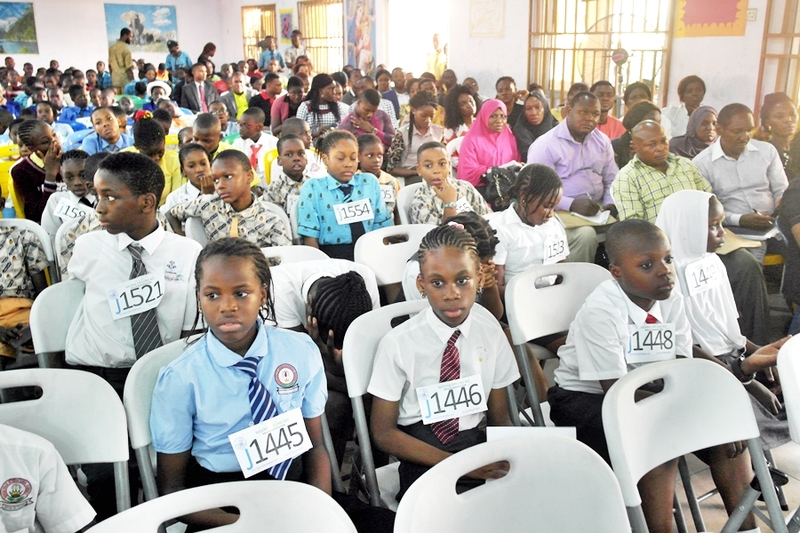 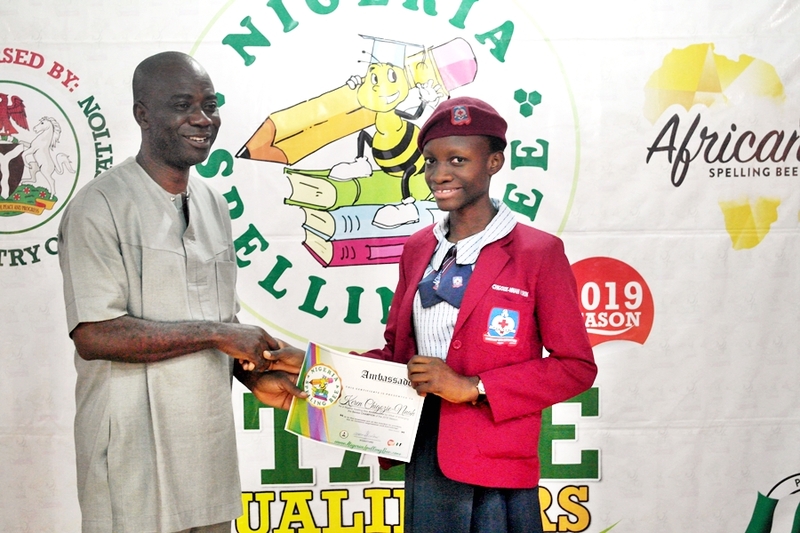 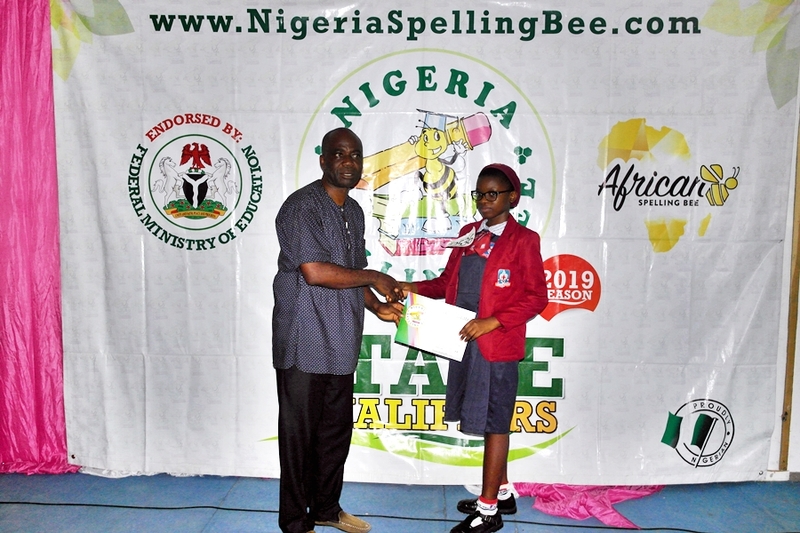 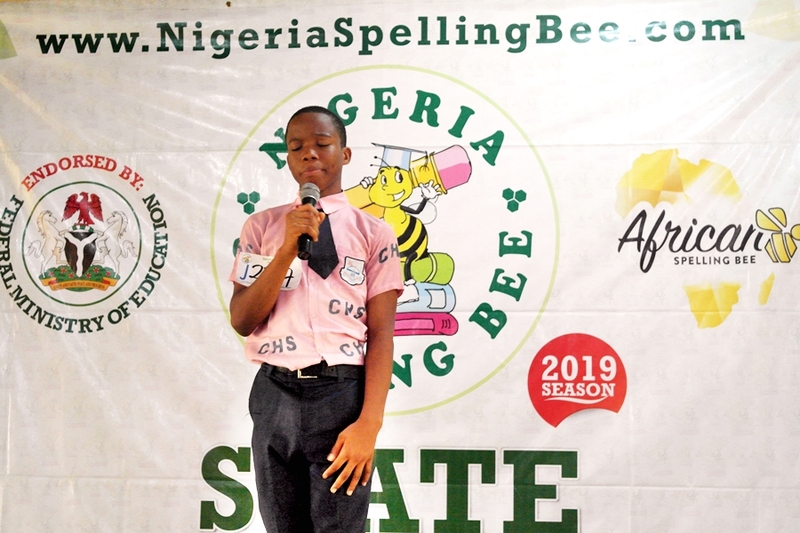 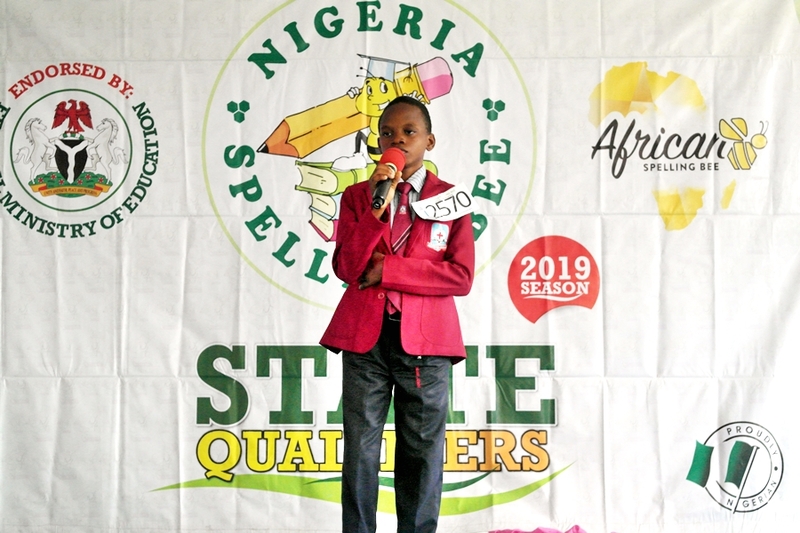 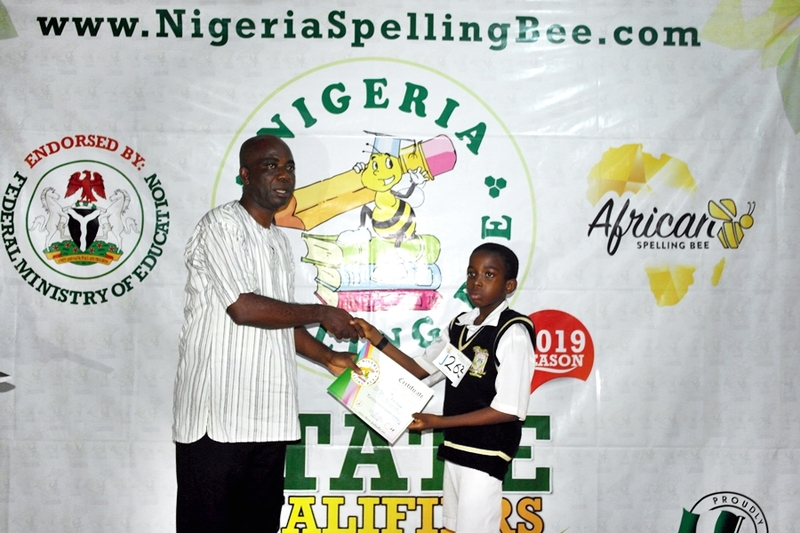 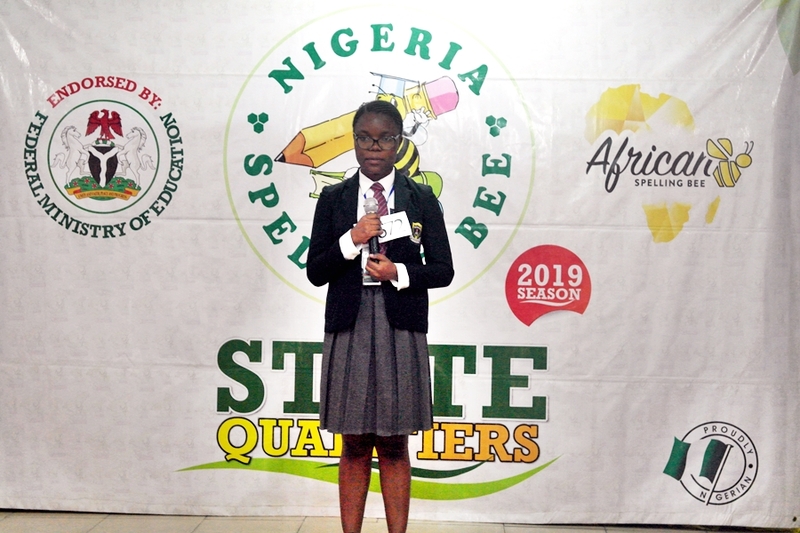 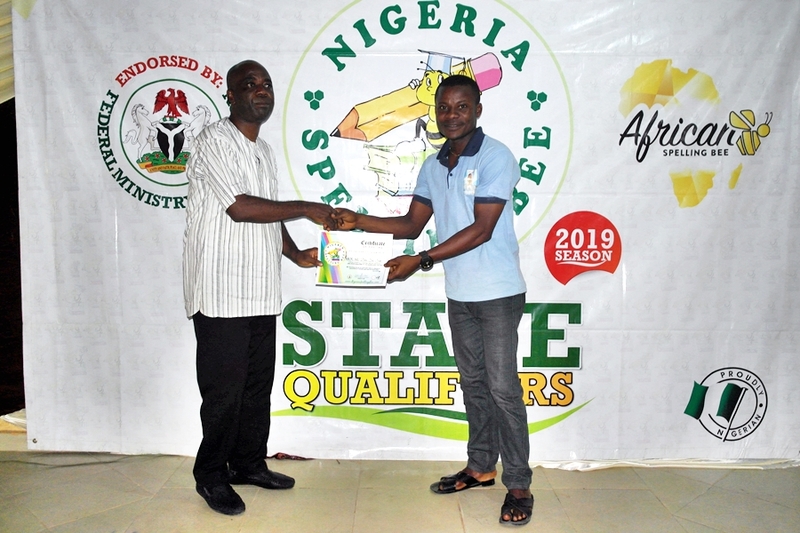 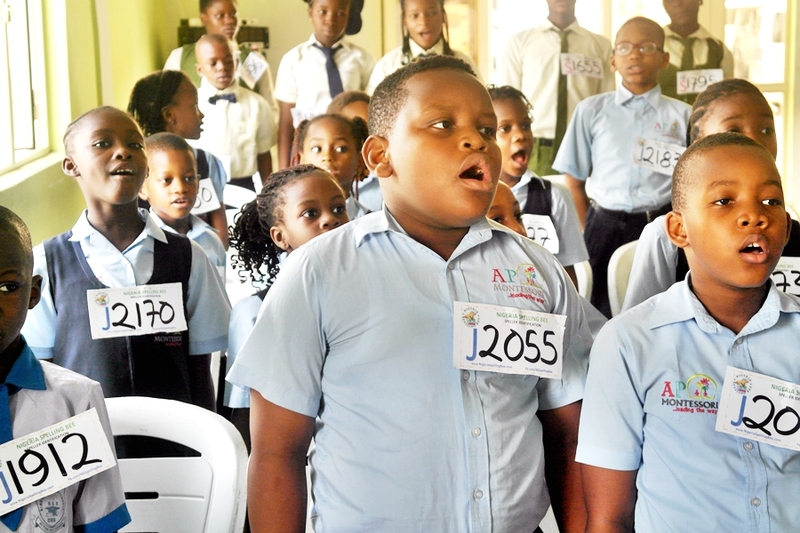 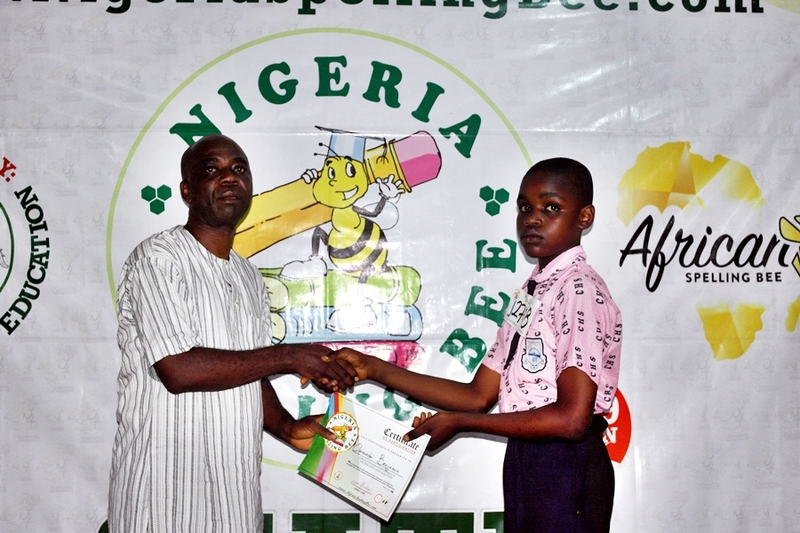 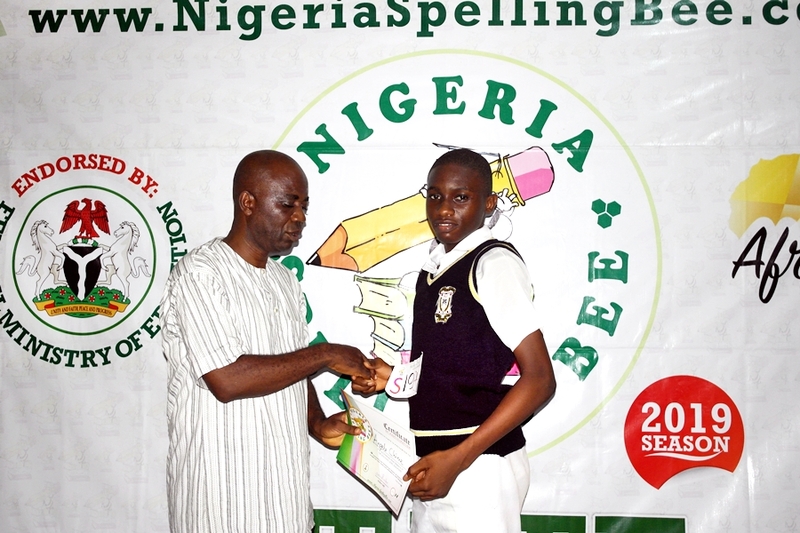 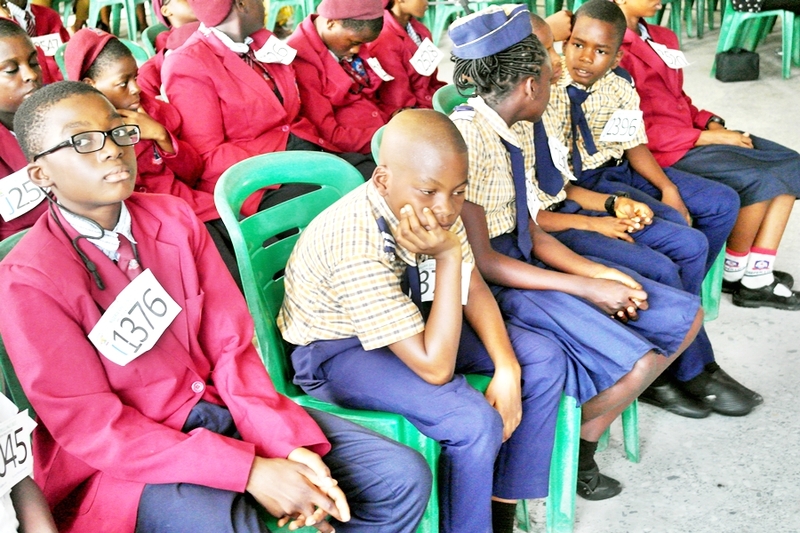 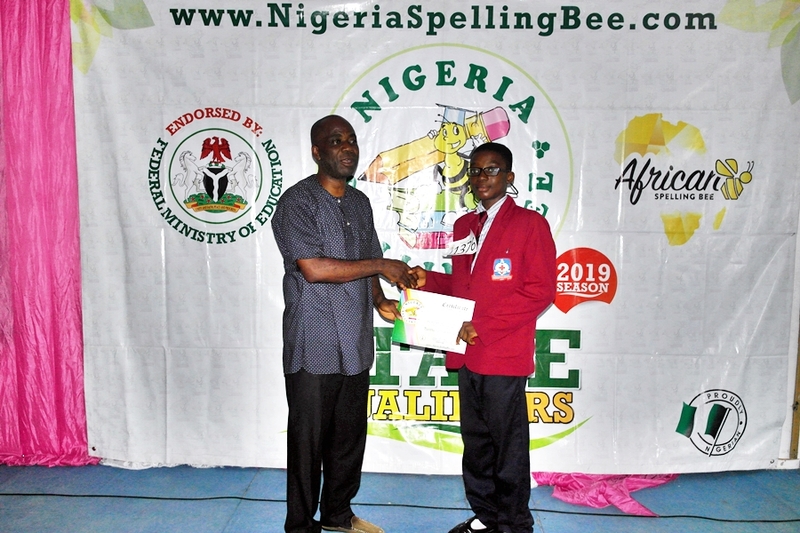 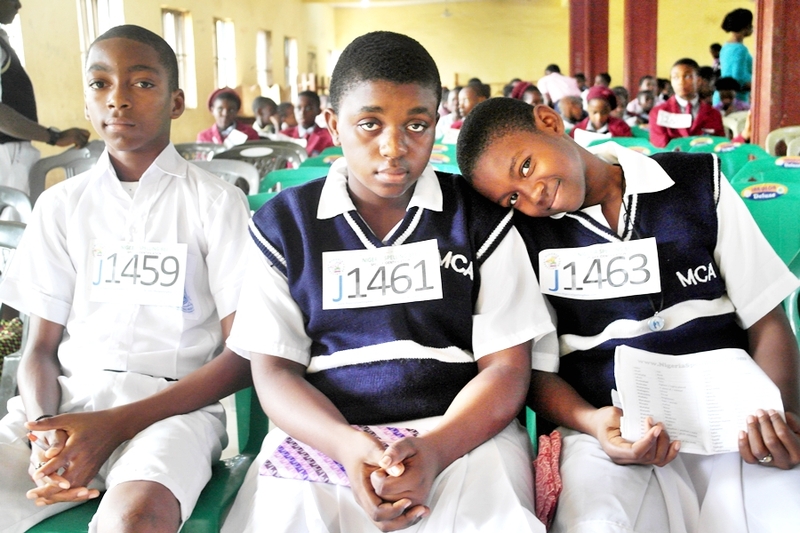 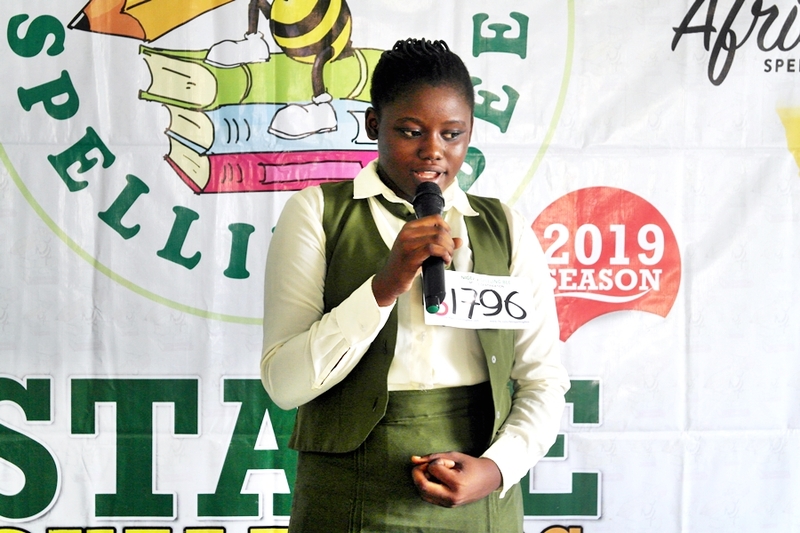 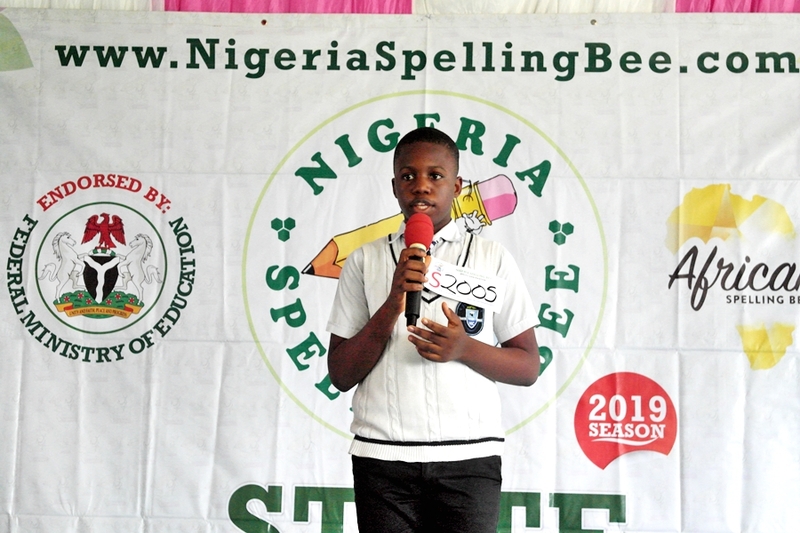 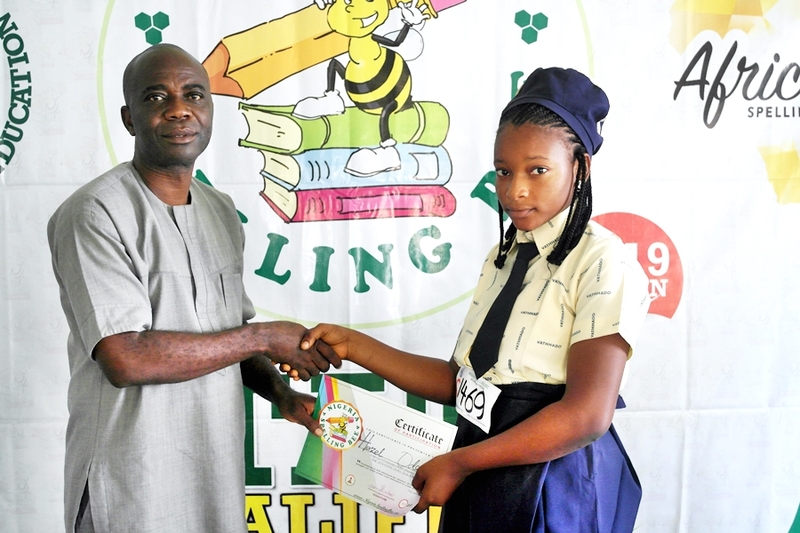 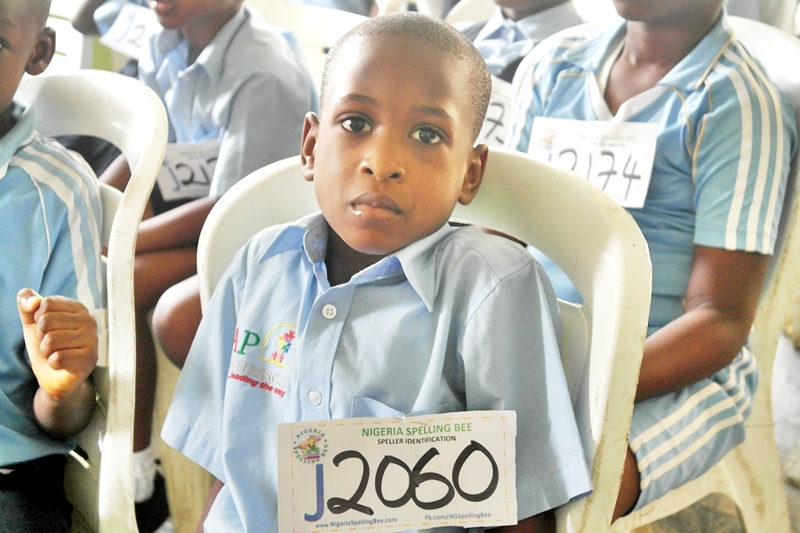 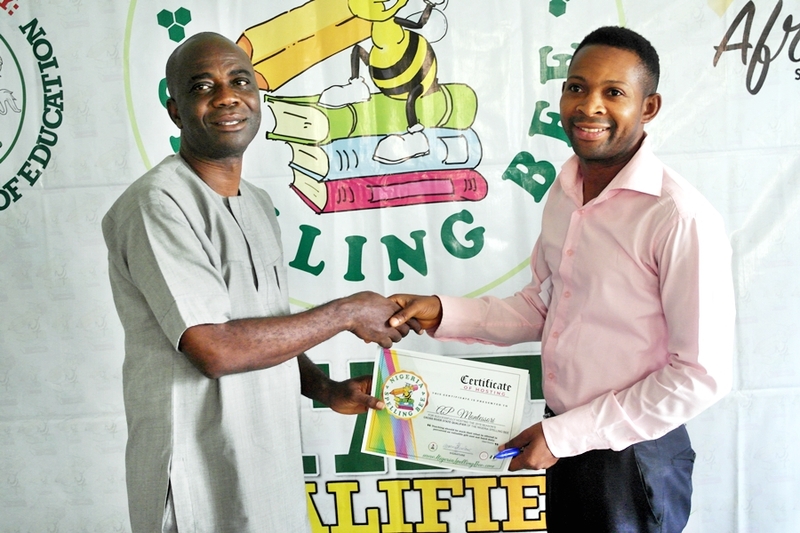 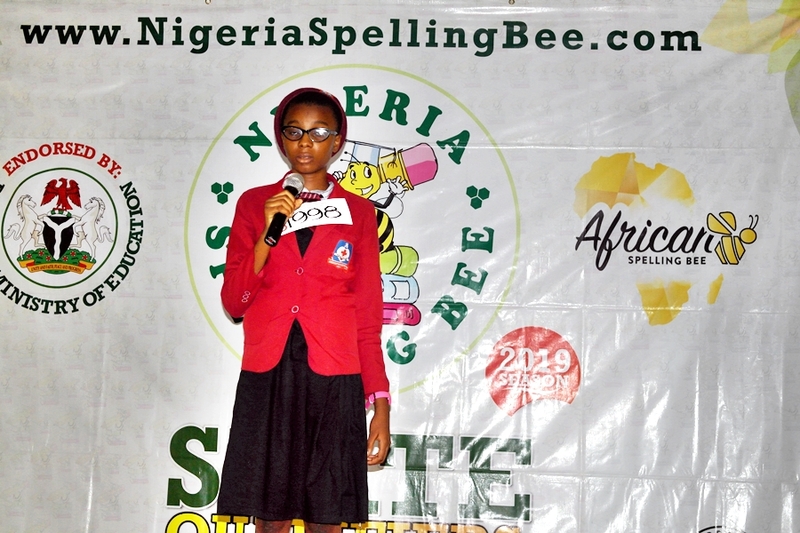 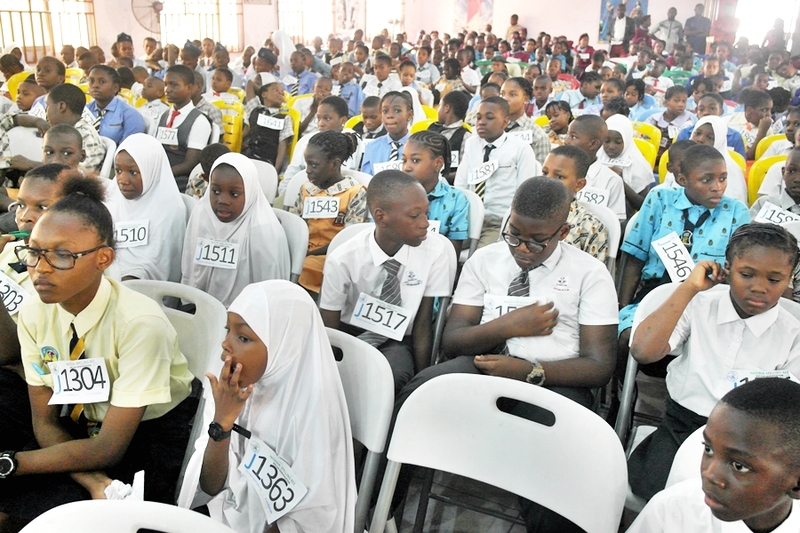 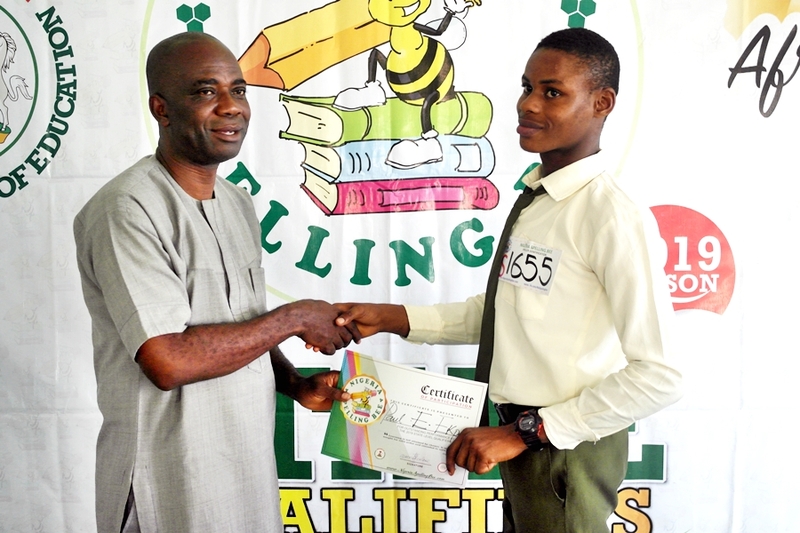 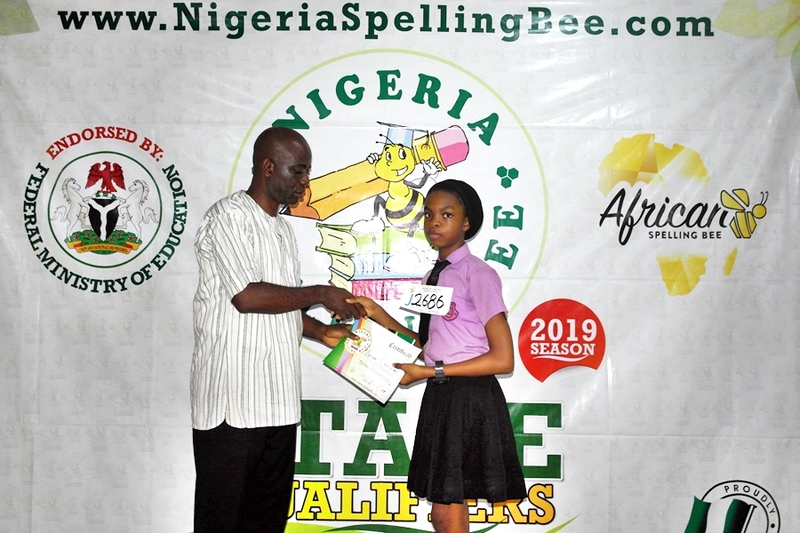 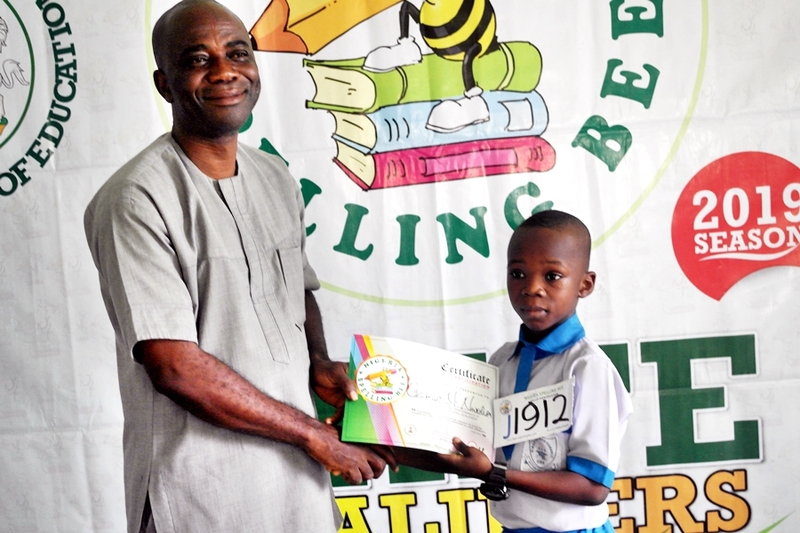 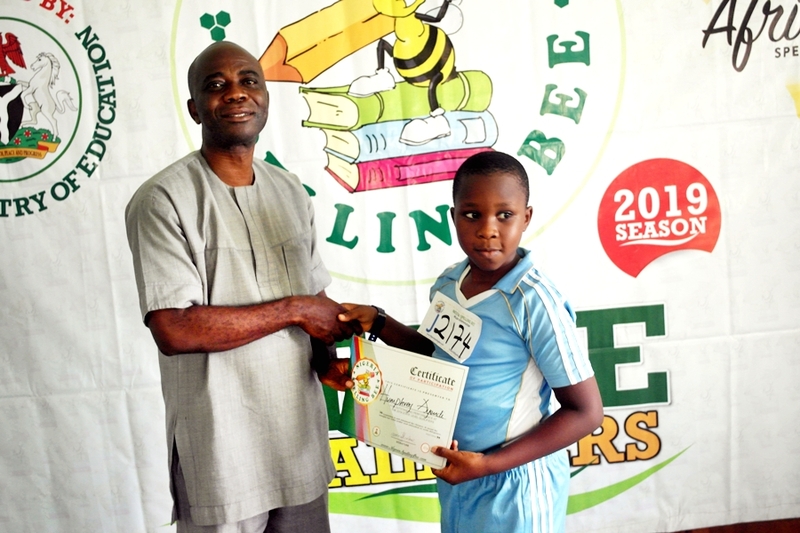 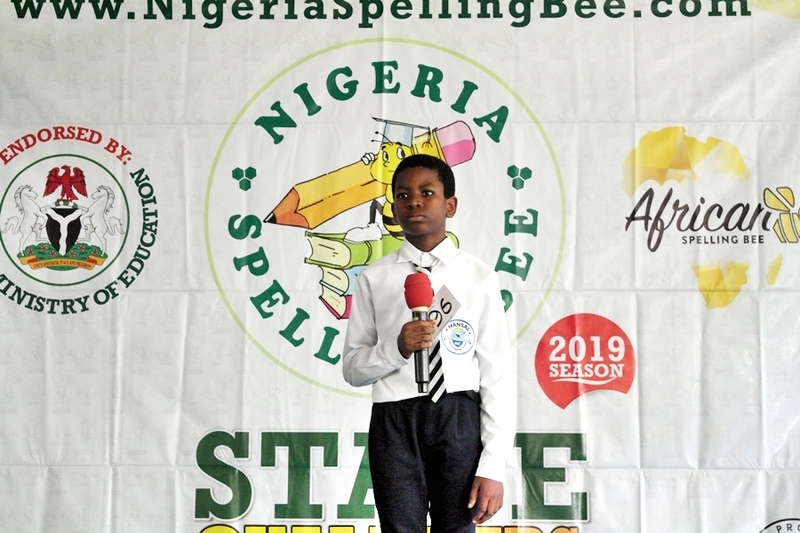 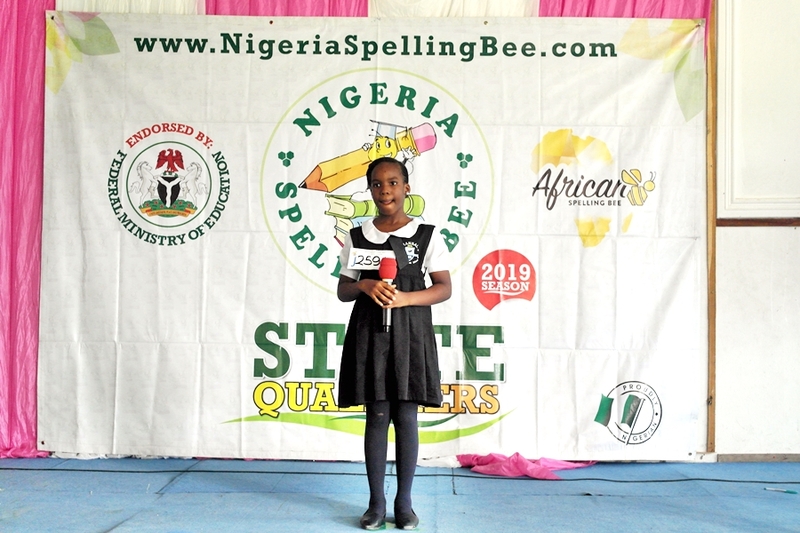 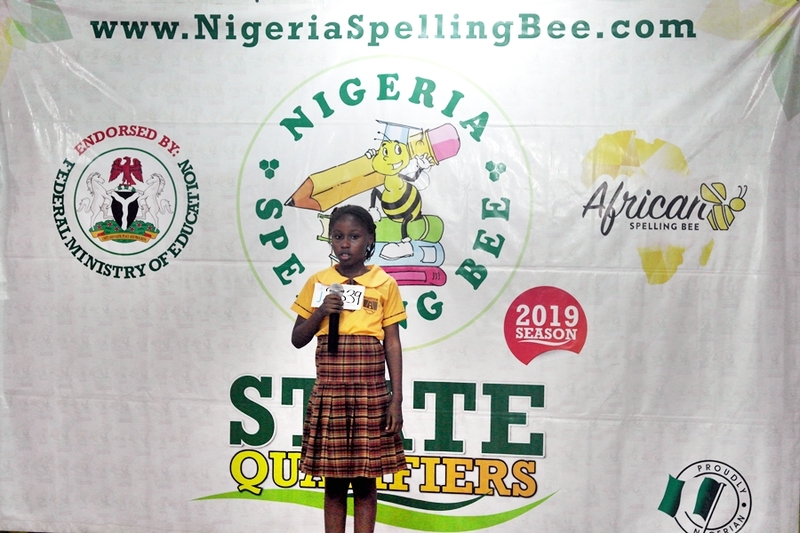 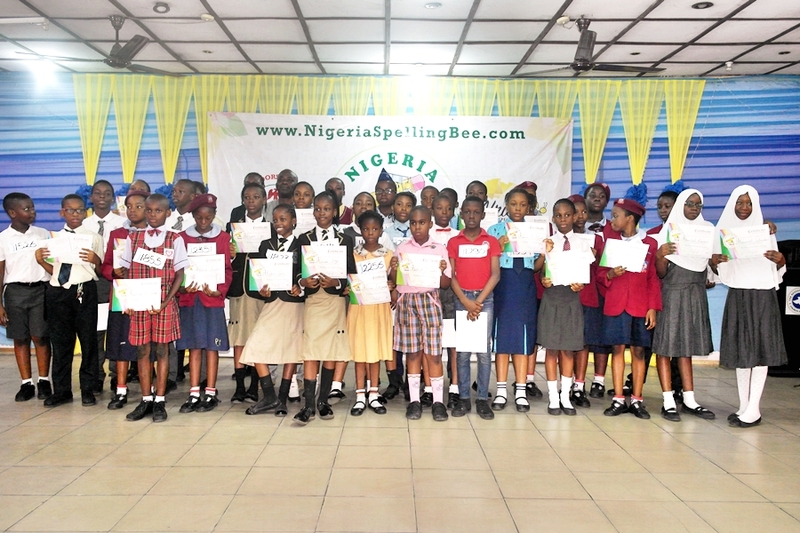 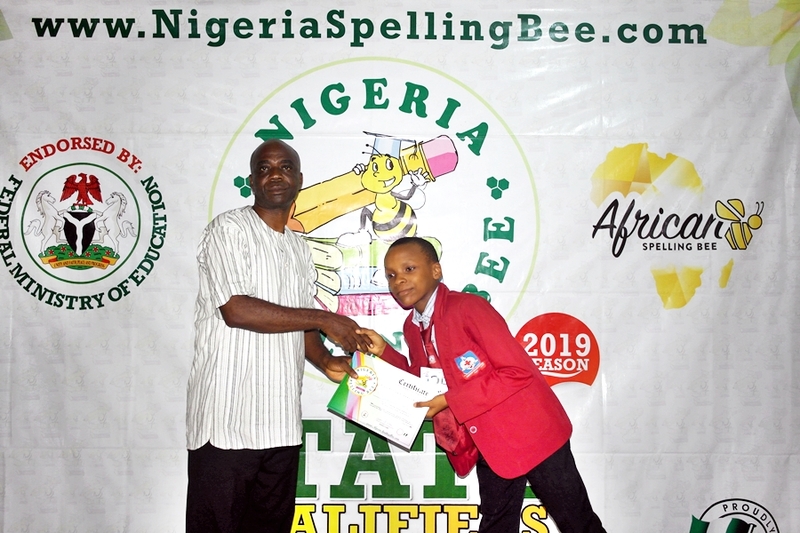 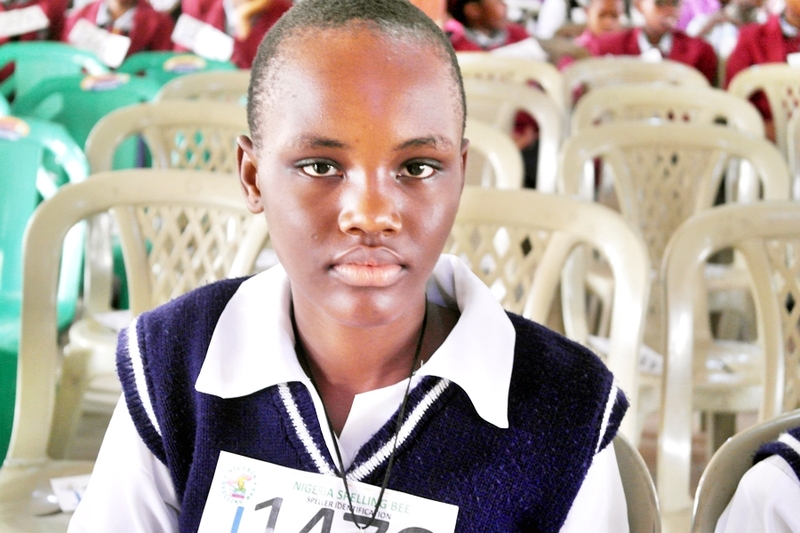 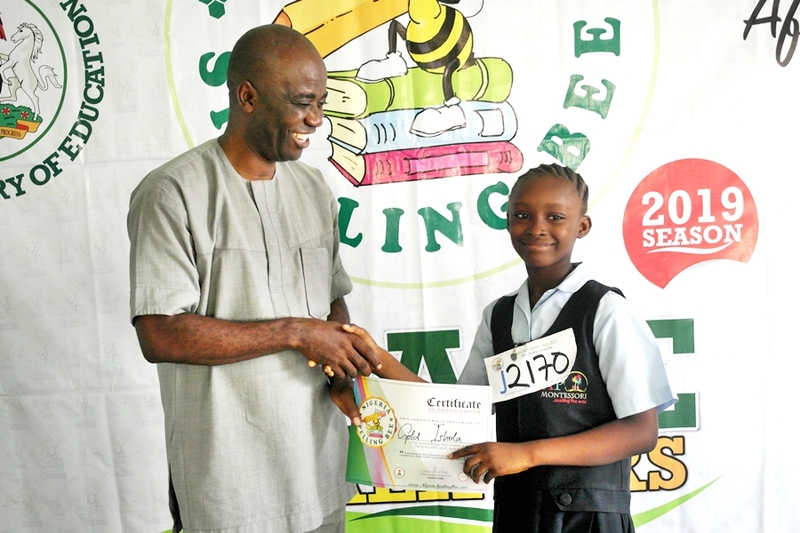 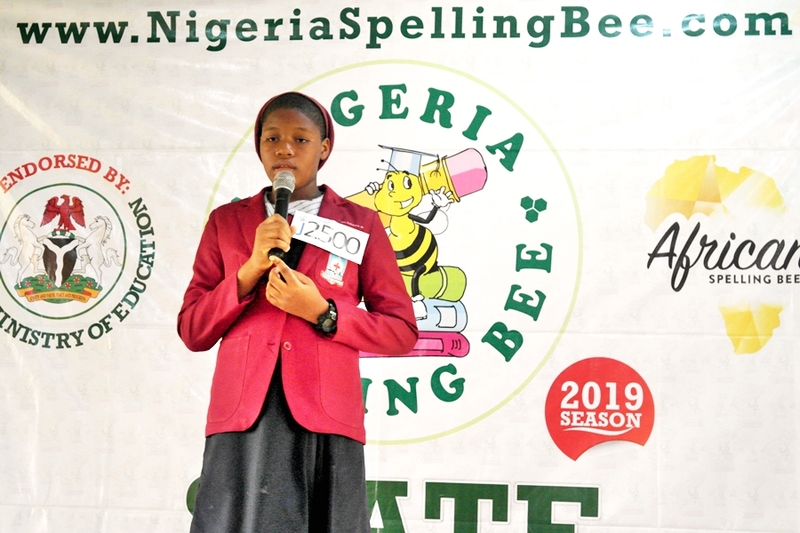 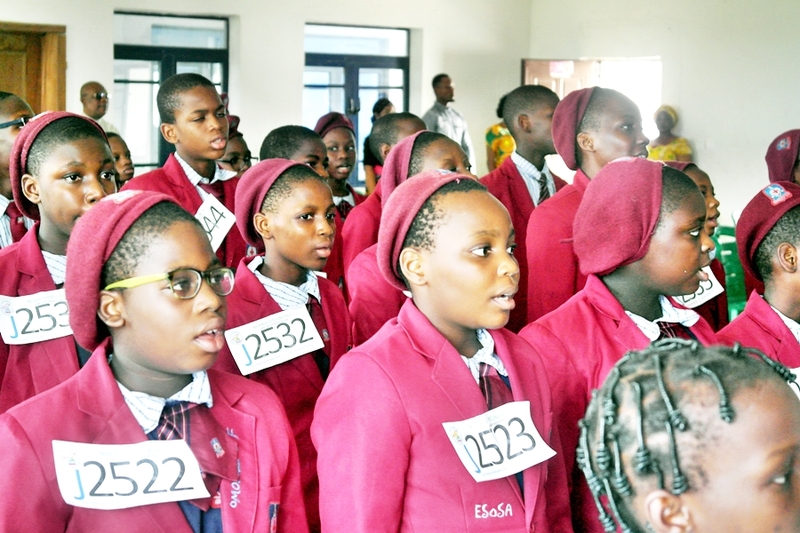 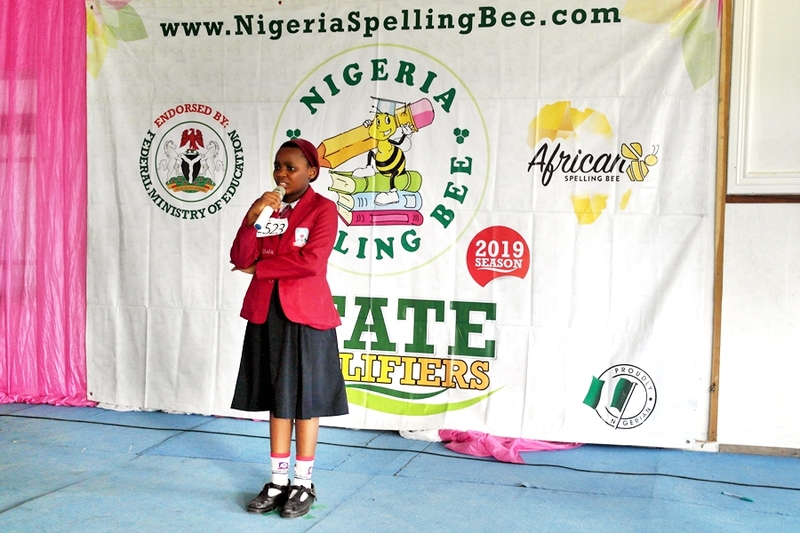 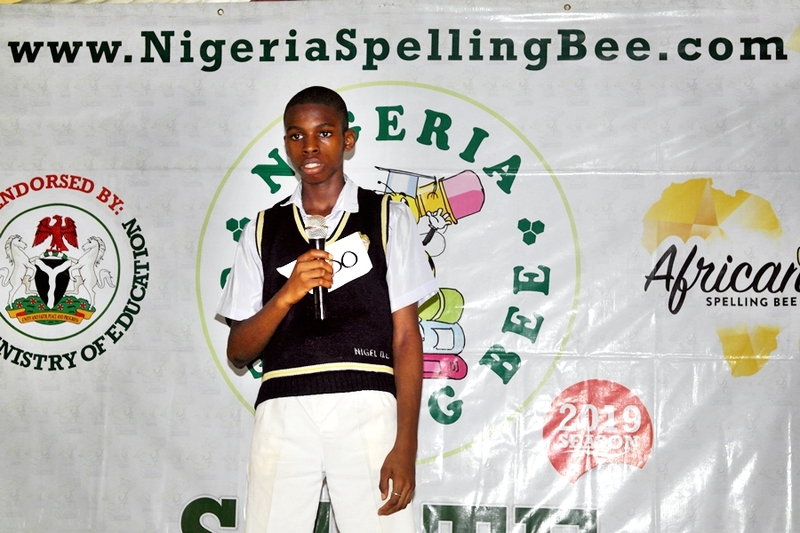 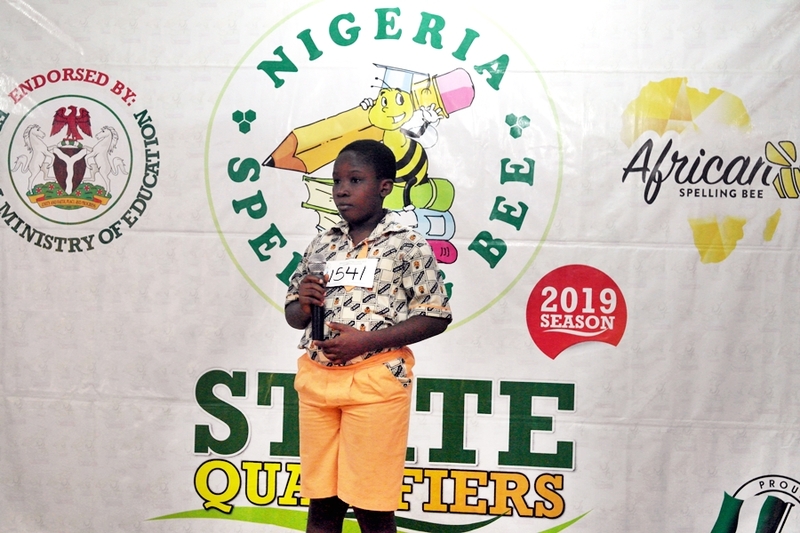 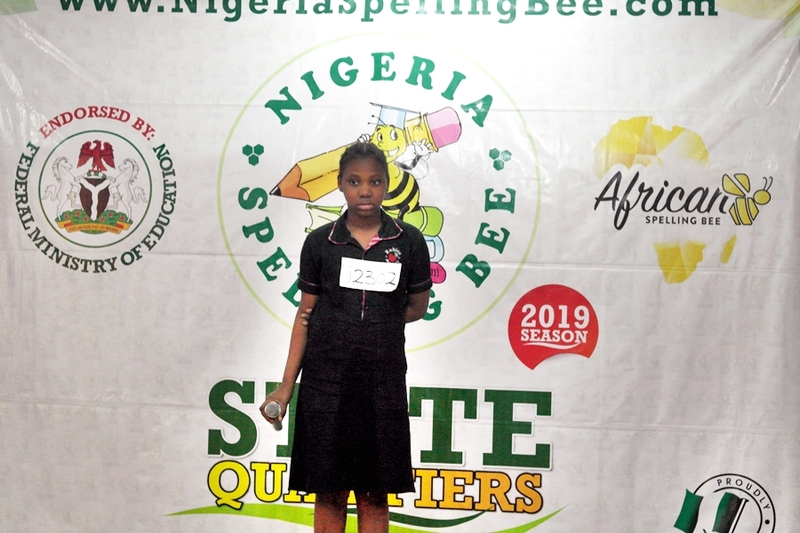 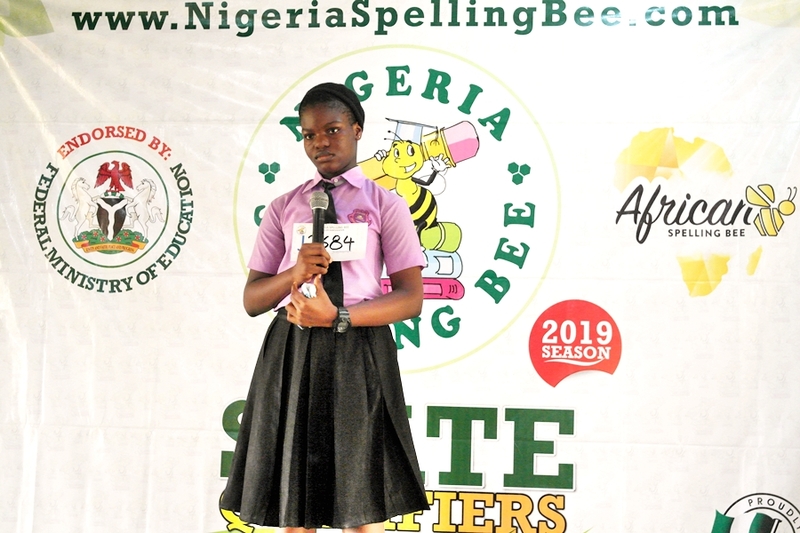 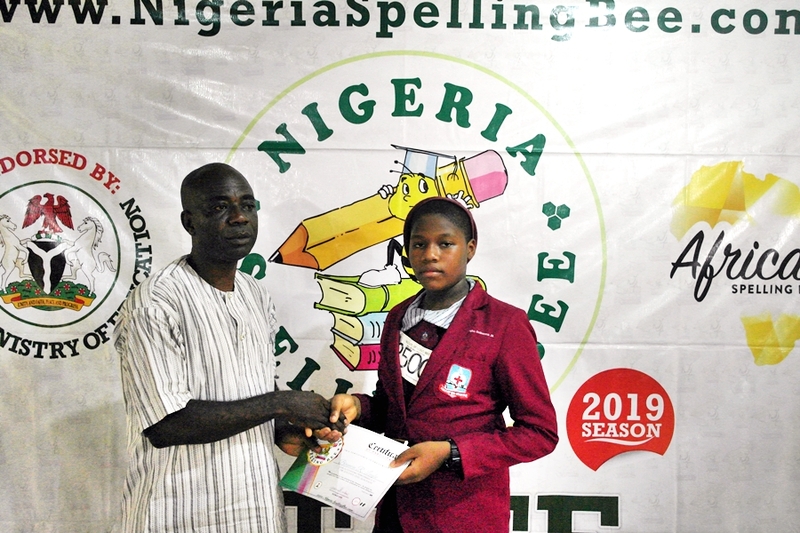 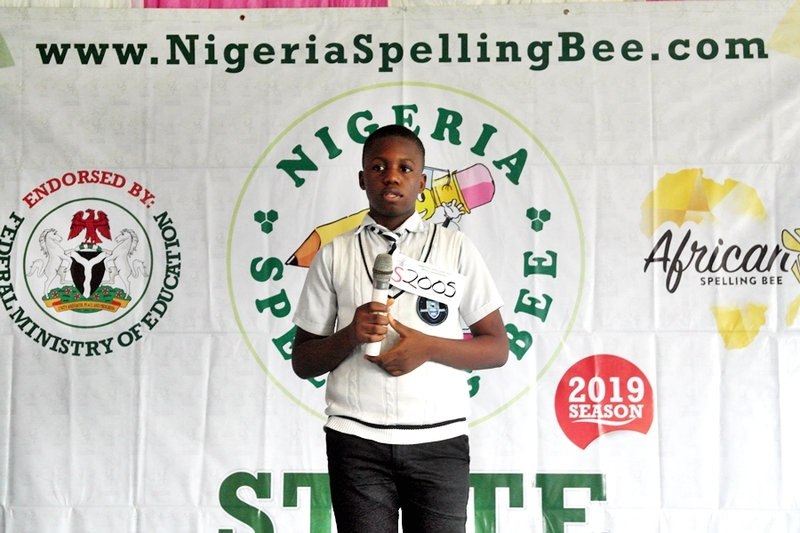 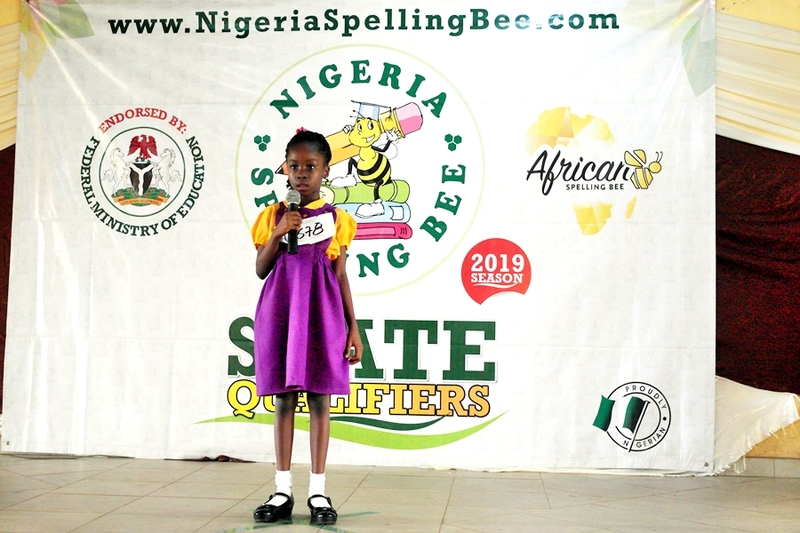 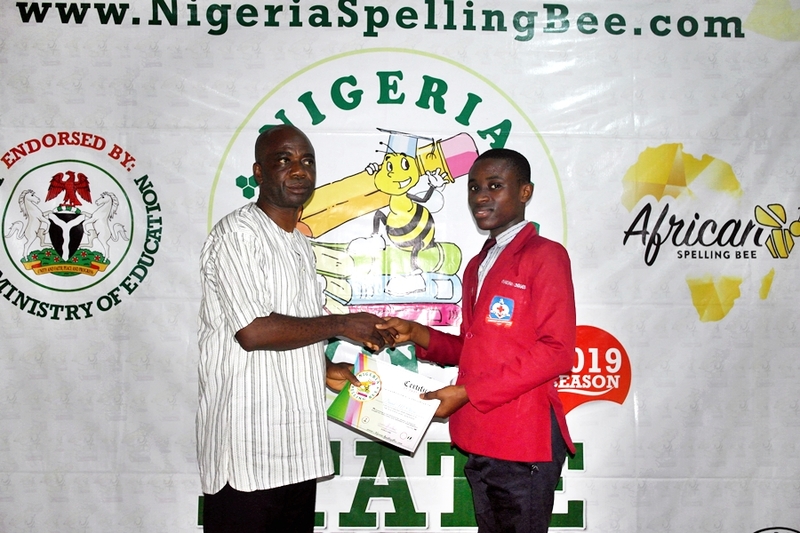 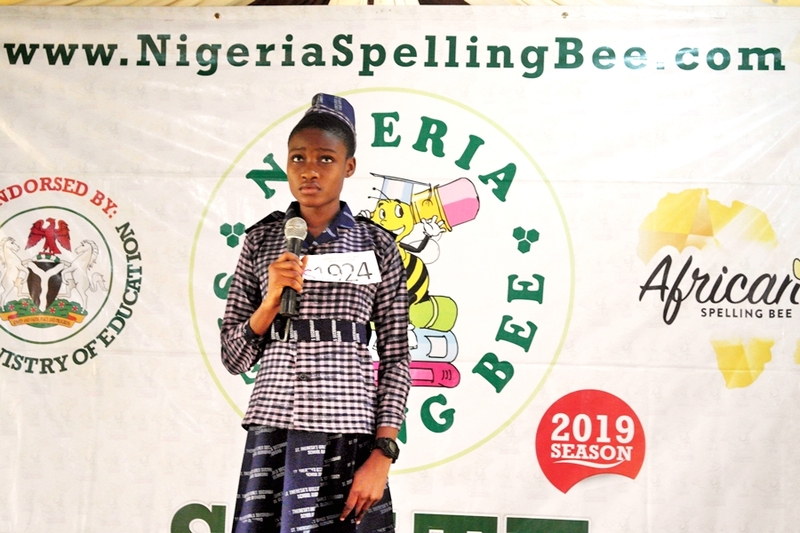 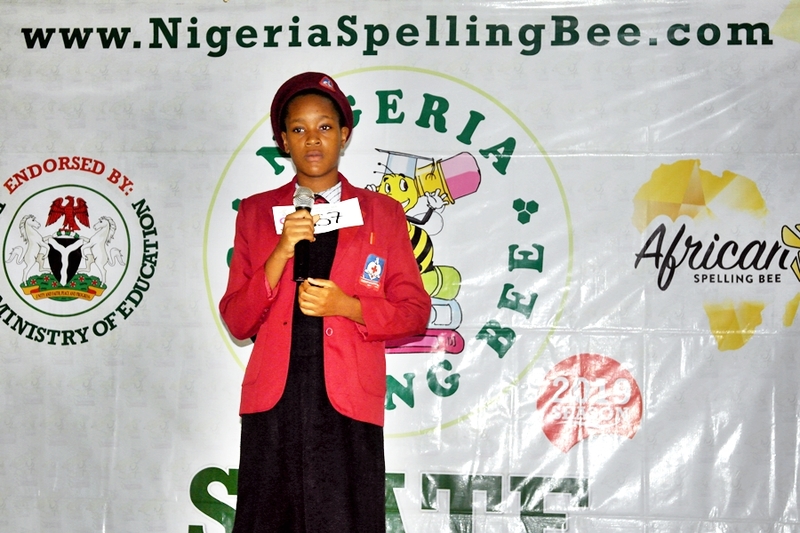 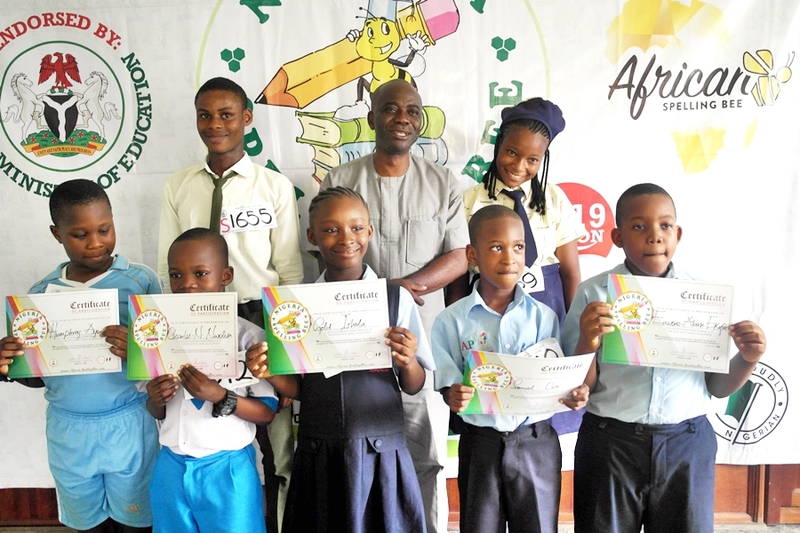 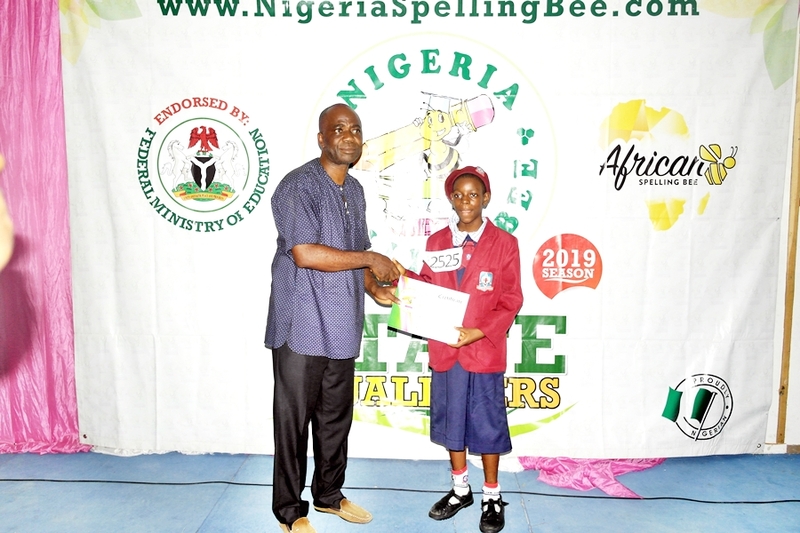 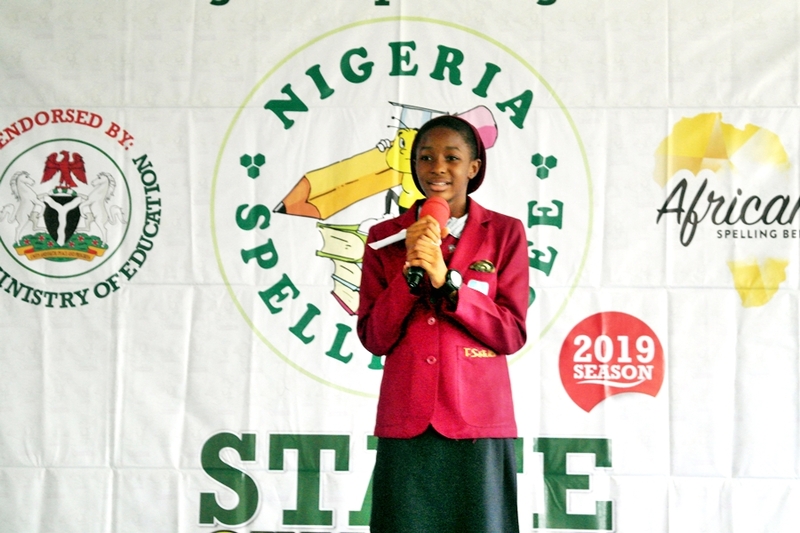 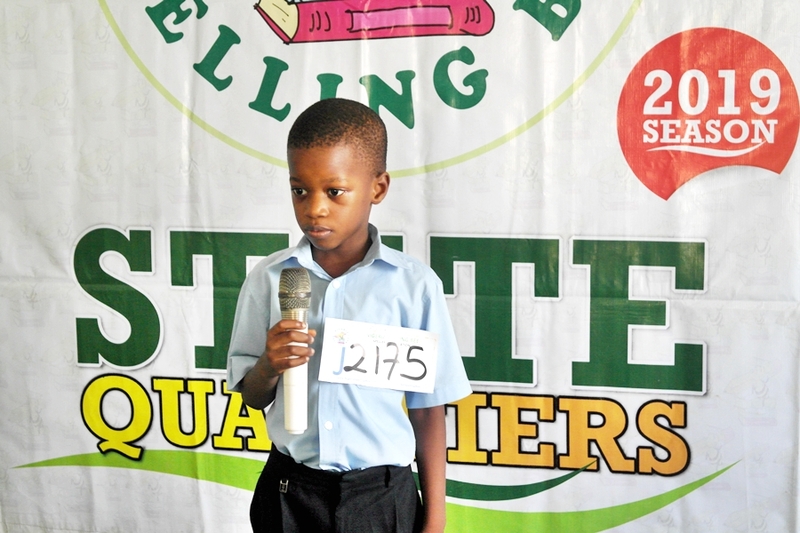 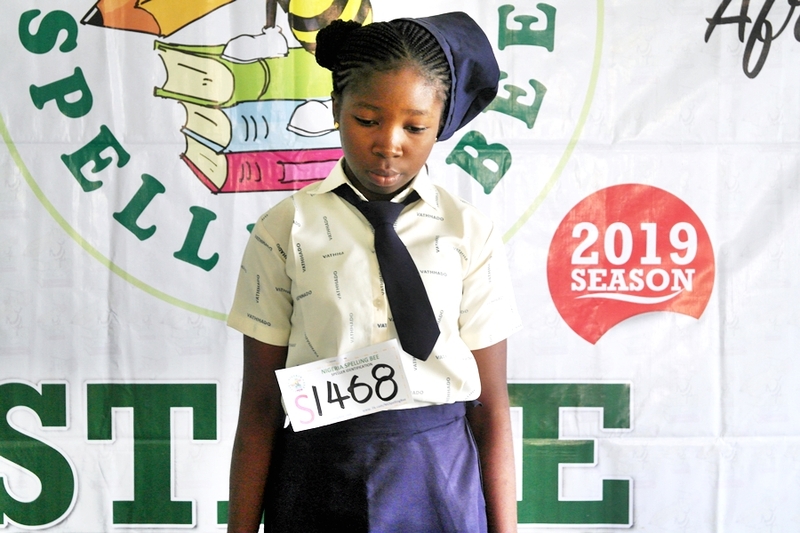 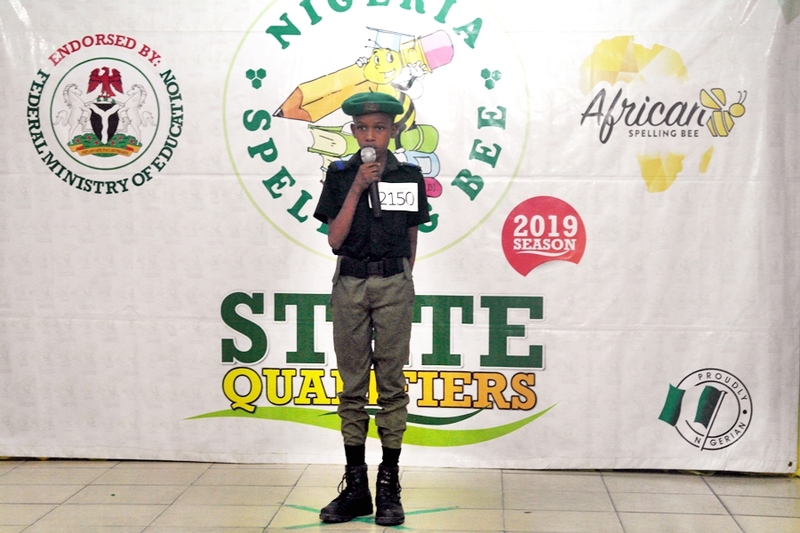 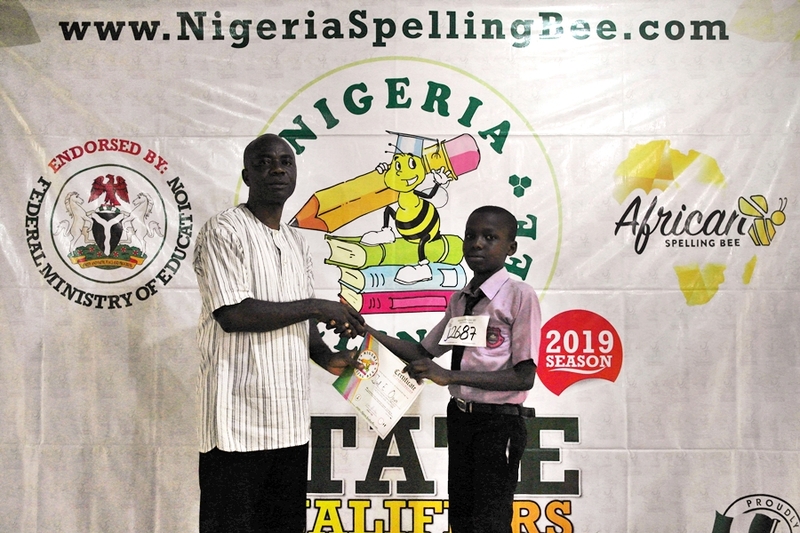 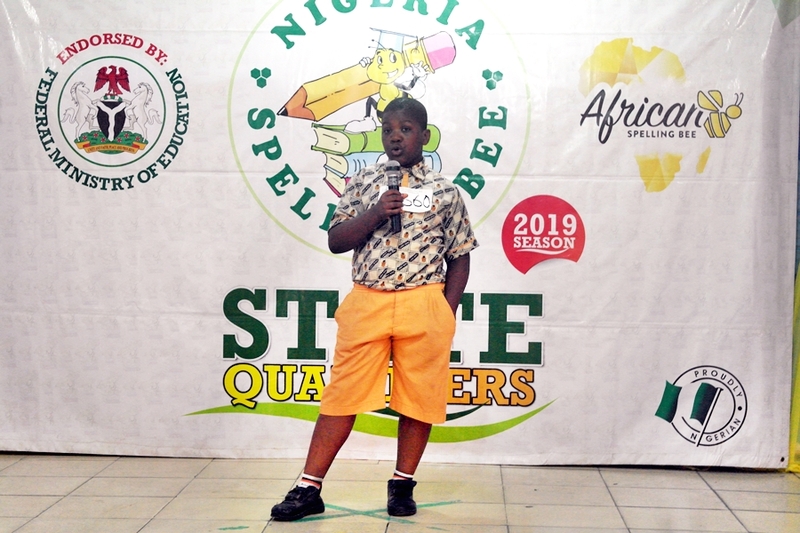 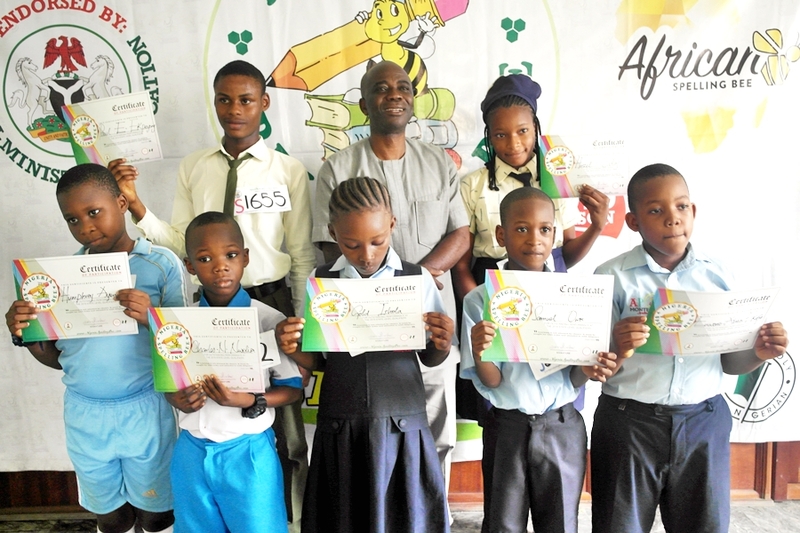 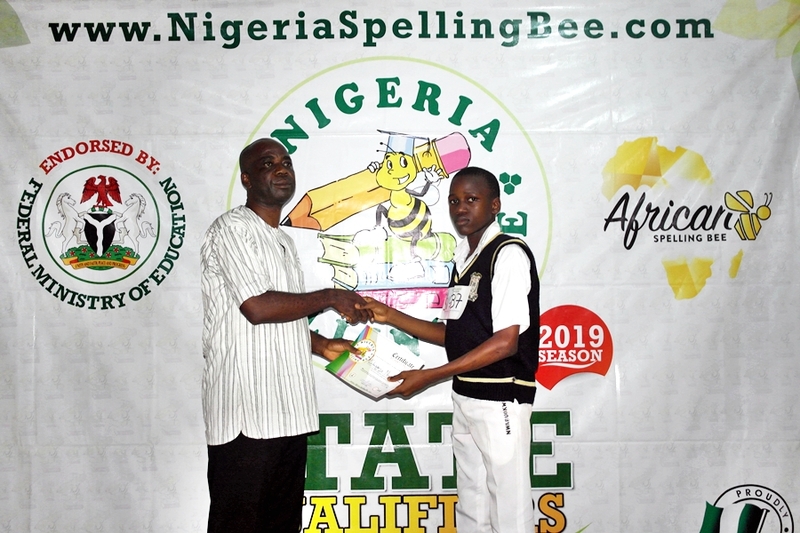 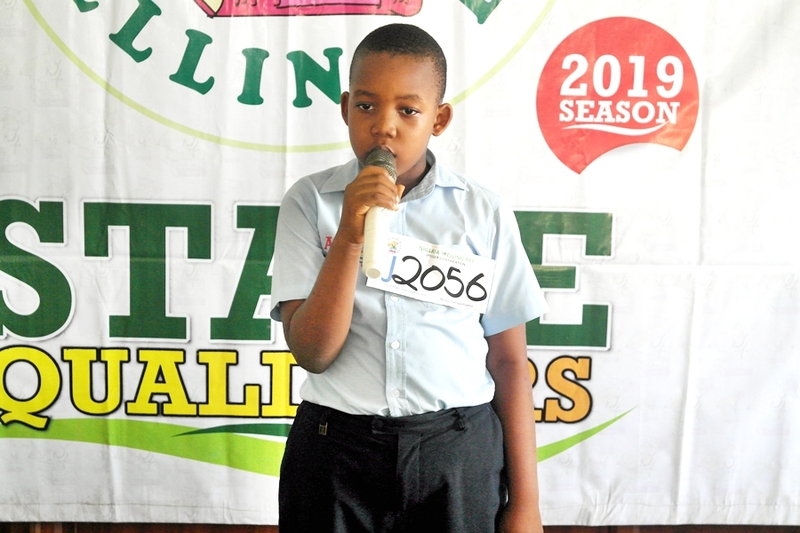 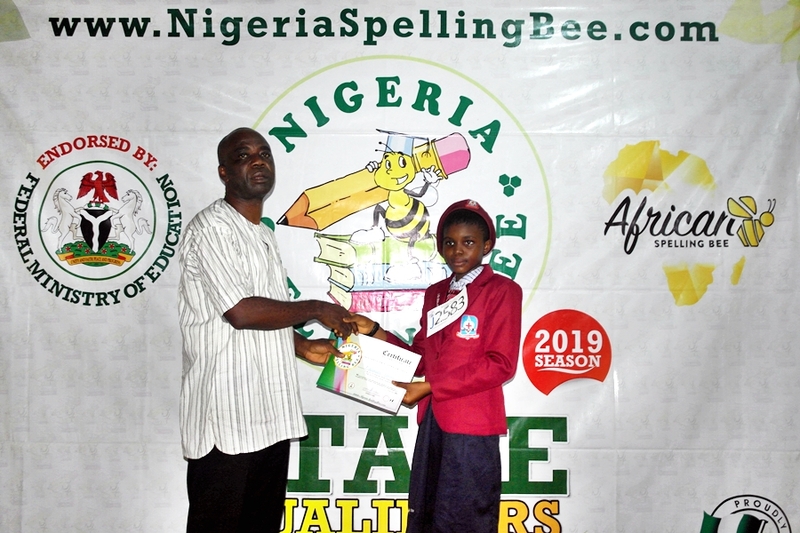 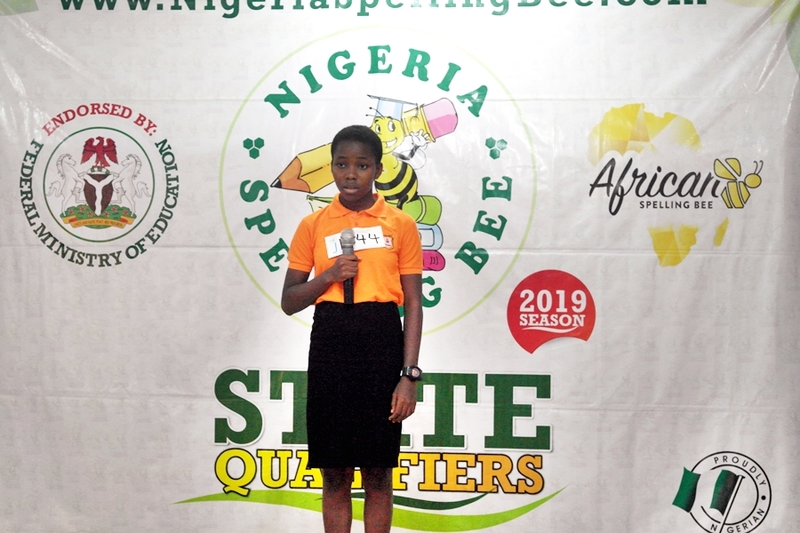 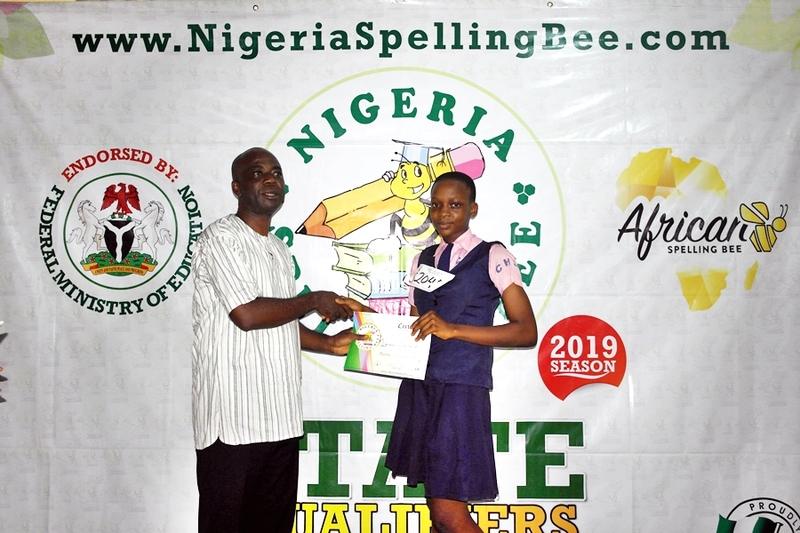 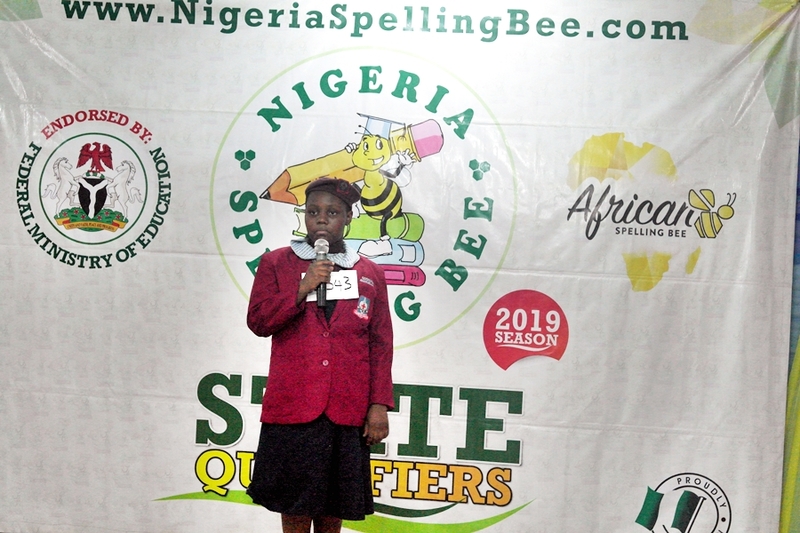 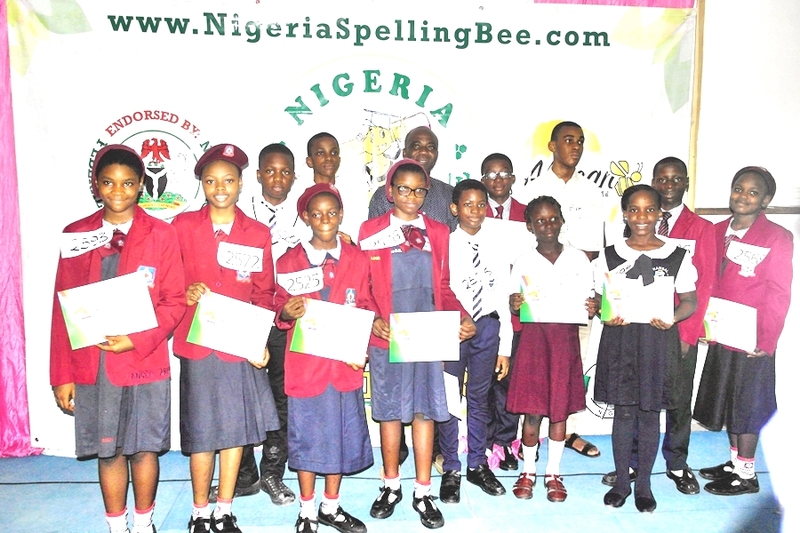 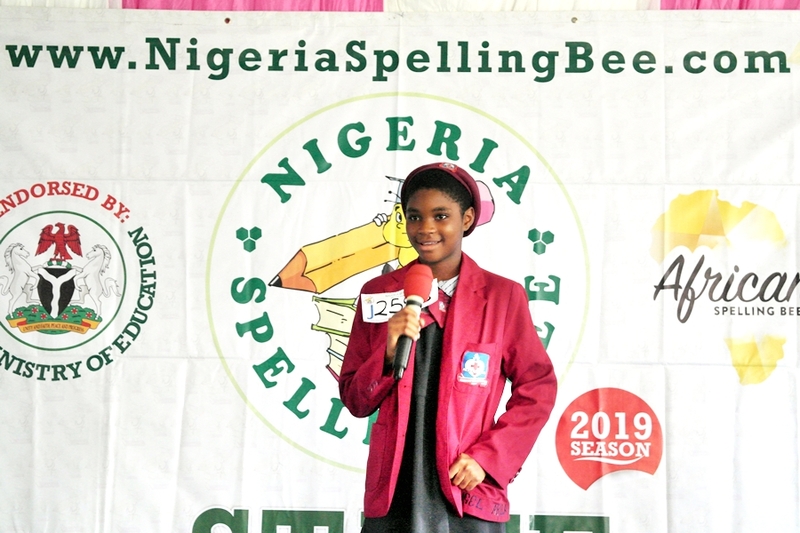 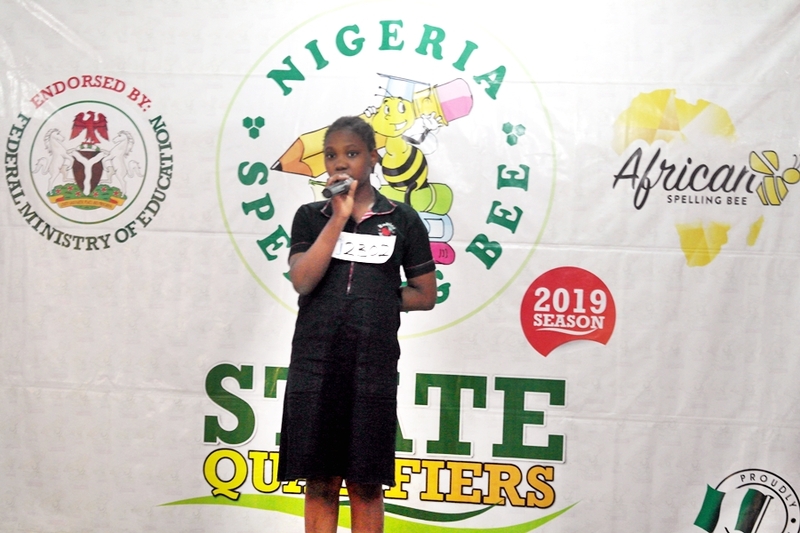 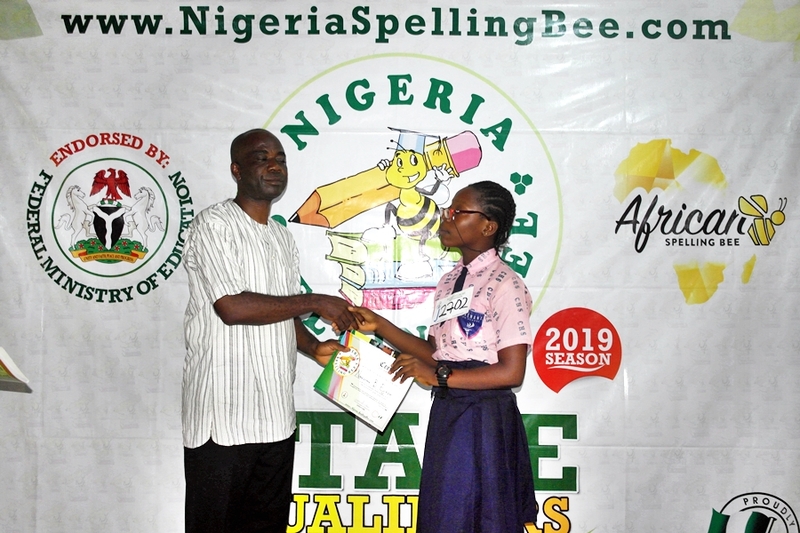 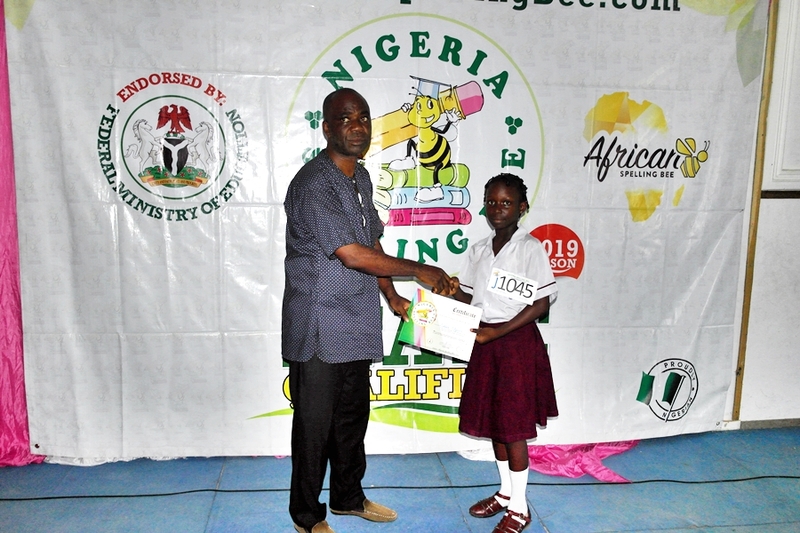 The Nigeria Spelling Bee was at the “Centre of Excellence” for the Lagos State qualifier of the competition which spanned two days for Junior and Senior spellers from across the State as the search for the best spellers in Nigeria continues. 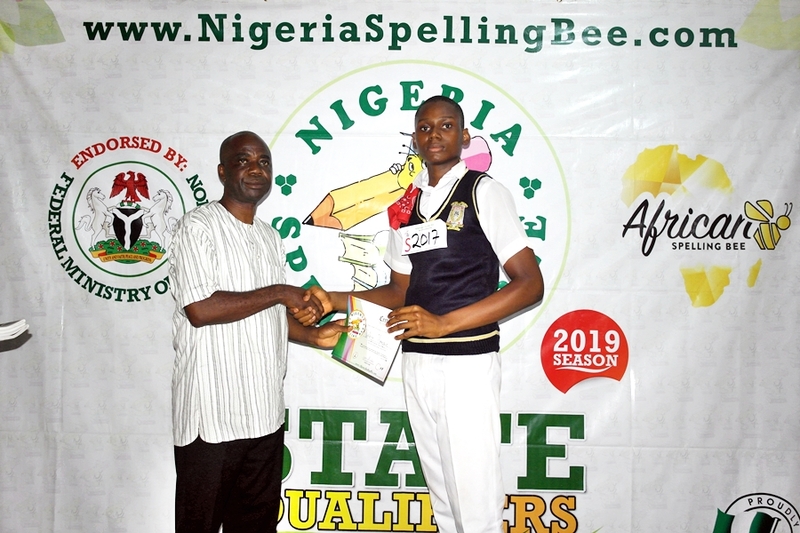 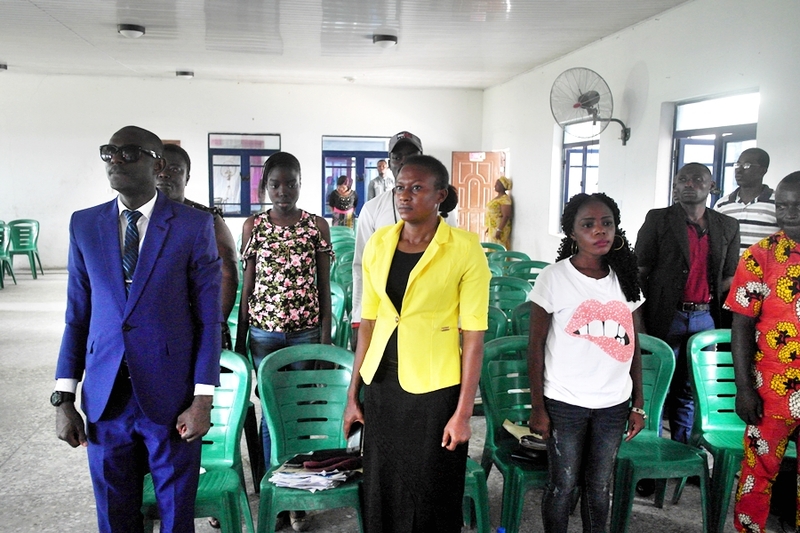 The Nigeria Spelling Bee team was in the “Glory of all Lands” for the Bayelsa State Level Qualifier of the competition which was aimed at producing the best spelling bee champs in the state who will go on to represent the state at subsequent rounds. 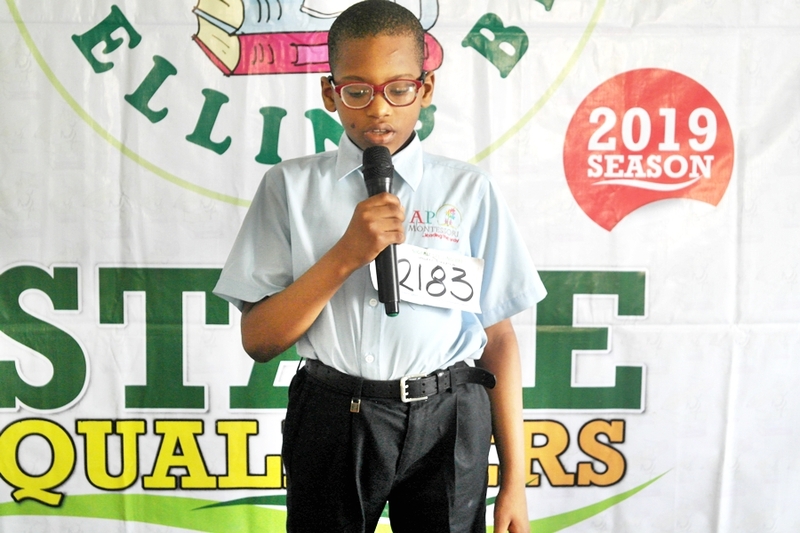 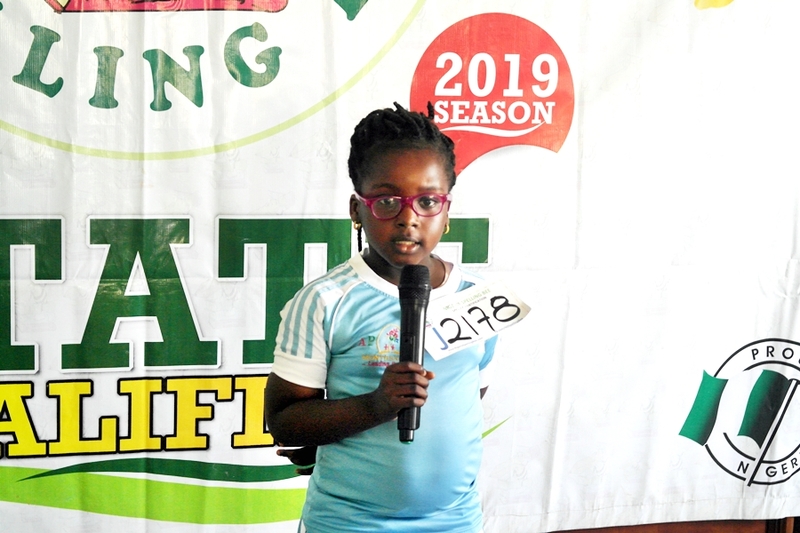 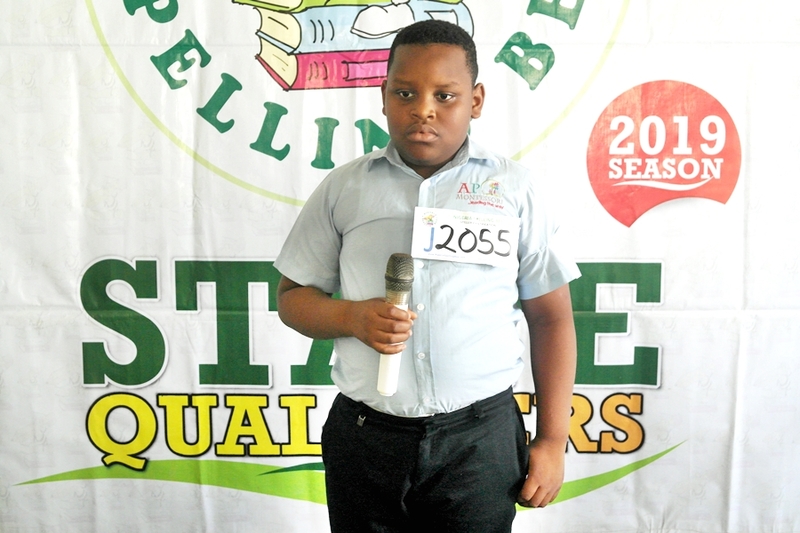 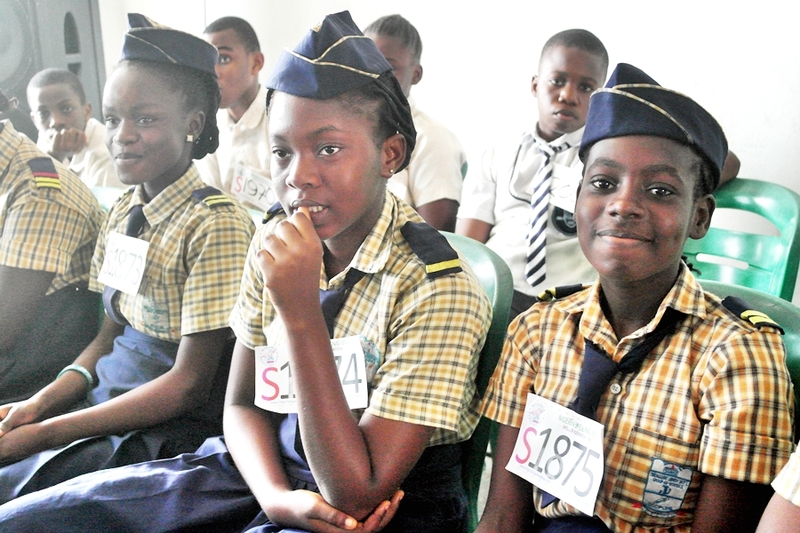 Both junior and senior top Spellers will go on to represent Bayelsa at the South-South Regional Qualifier, facing Spellers from 5 other states such as Cross River, Akwa-Ibom, Delta, Edo and Rivers State. 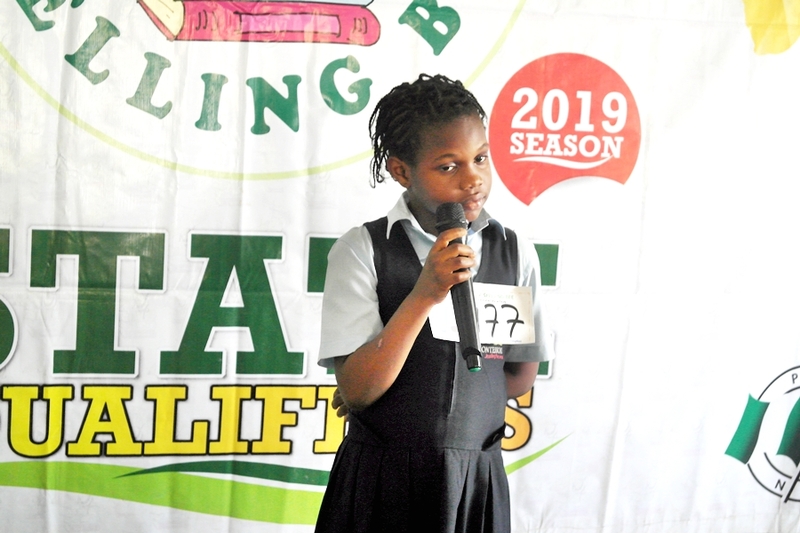 Our sincere appreciation goes to Hansal International School, Imiringi Road, Yenagoa for providing a conducive hosting environment for the Bayelsa Qualifier of the Nigeria Spelling Bee competition. 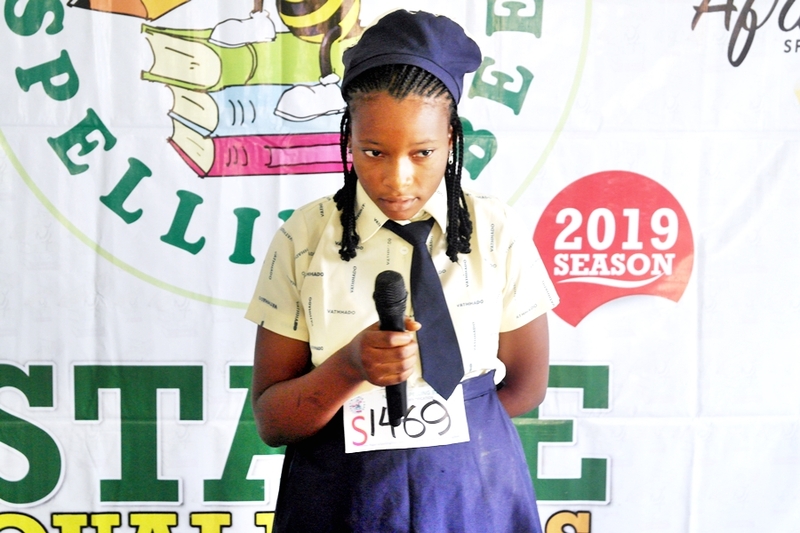 It was a wonderful 2day marathon competition at the Rivers State qualifier of Nigeria Spelling Bee as students converged from all over Rivers State for a chance to showcase their spelling prowess and prove themselves worthy to represent the state at subsequent levels. 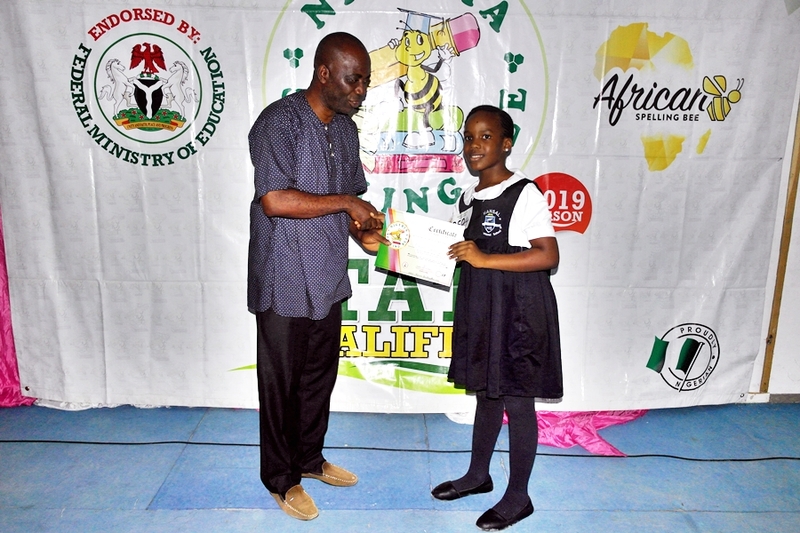 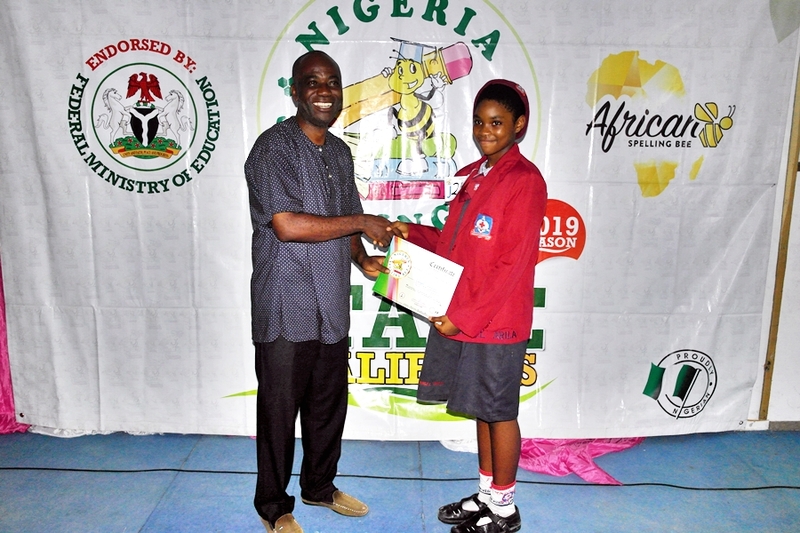 The present Champion of the Nigeria Spelling Bee (Keren Chigozie-Nnah) was present to receive an Ambassadorship certificate for her outstanding achievement. 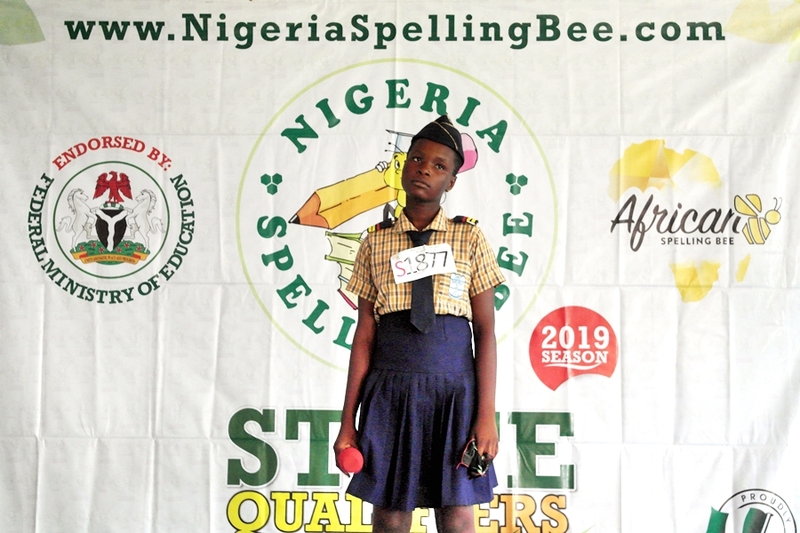 It should be recalled that Keren also went on to represent Nigeria at the African Spelling Bee and also emerged the champion in the senior category. 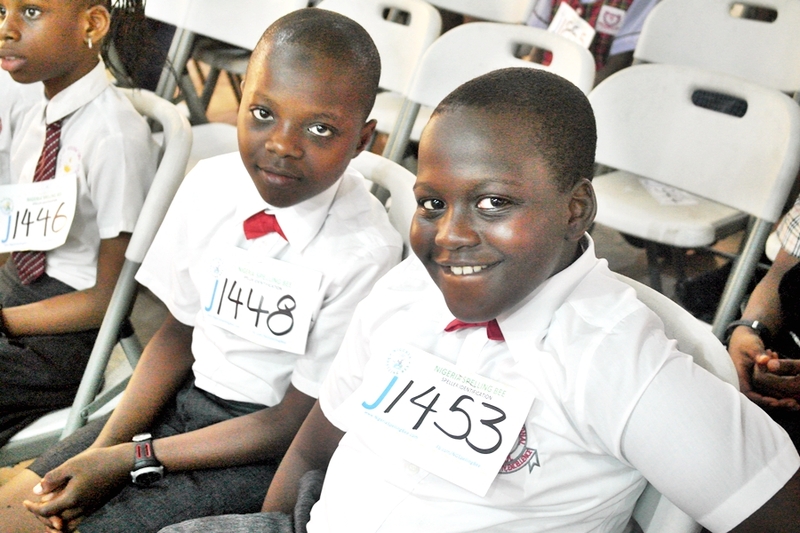 After proving themselves, these spellers will represent Rivers at the South-South Regional level. 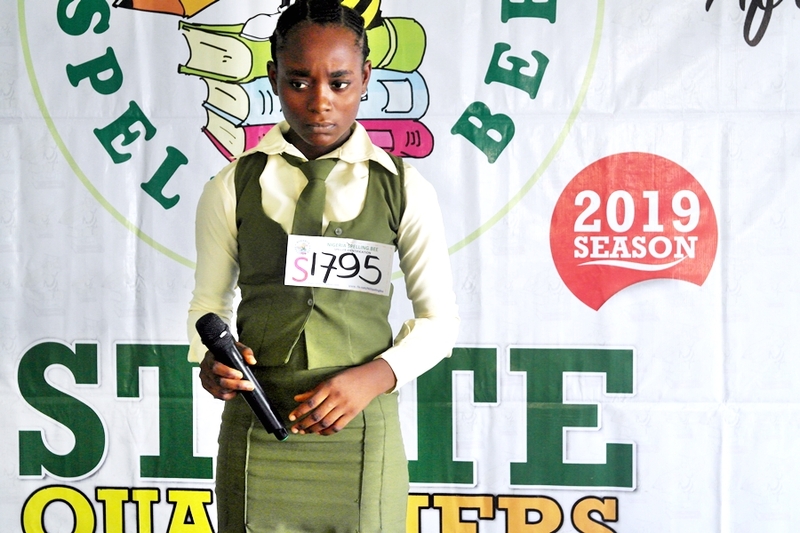 Ogbuli Ifeoma of Bishop Okoye Spiritan Secondary School. 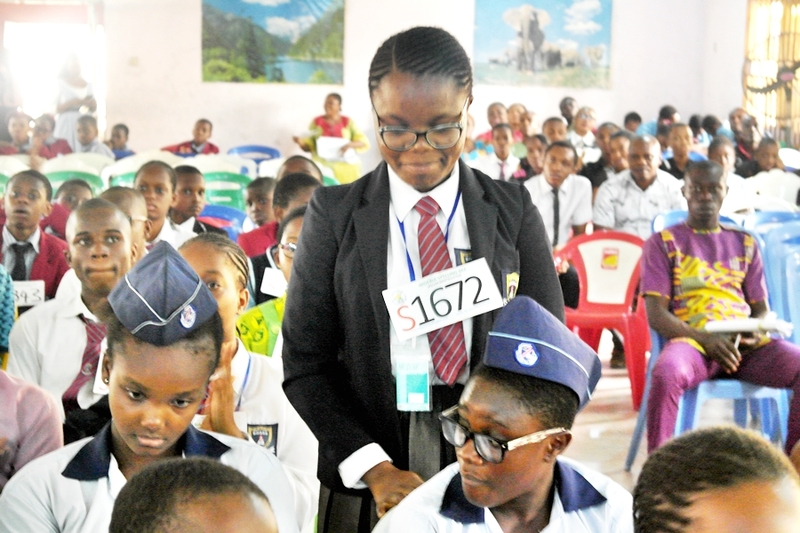 Chukwuneke Rosary Eziomume of Bishop Okoye Spiritan Secondary school. 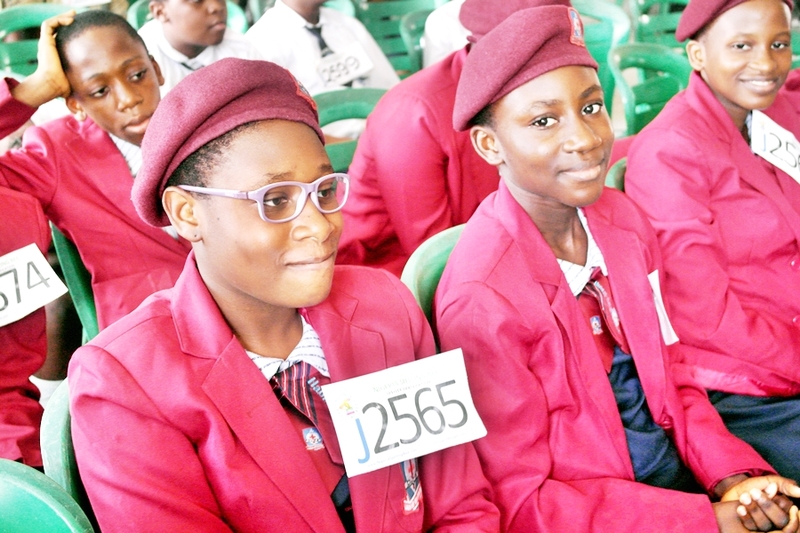 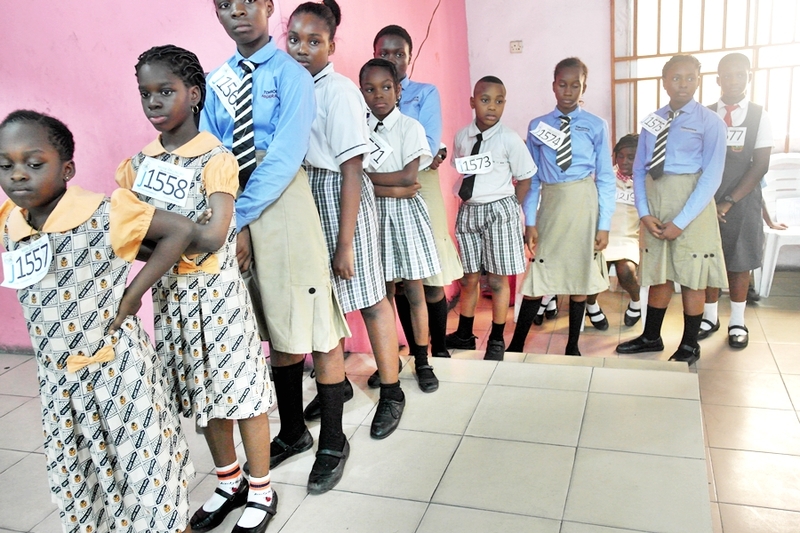 These spellers will be competing alongside other top spellers from Akwa-ibom, Cross River, Bayelsa, Delta and Edo states for a shot at the National Finals. 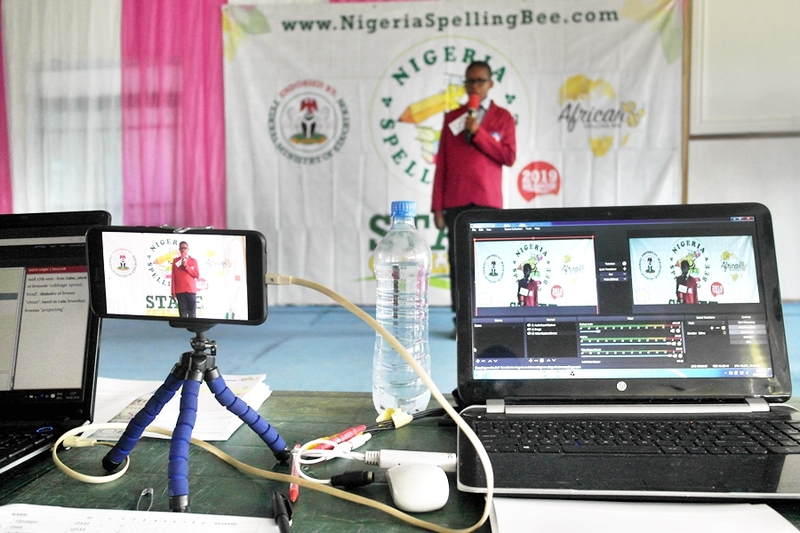 We wish to apprentice all participating schools, coaches and parents for a great turnout and taking the time to prepare these wonderful spellers. 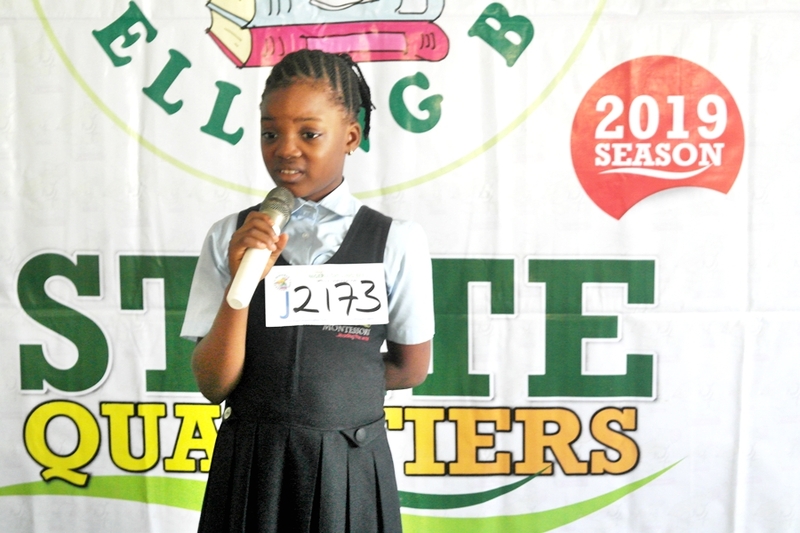 Our thanks also goes to our host school, Ladybird Educational Center, Port Harcourt for hosting the State Level Qualifiers. 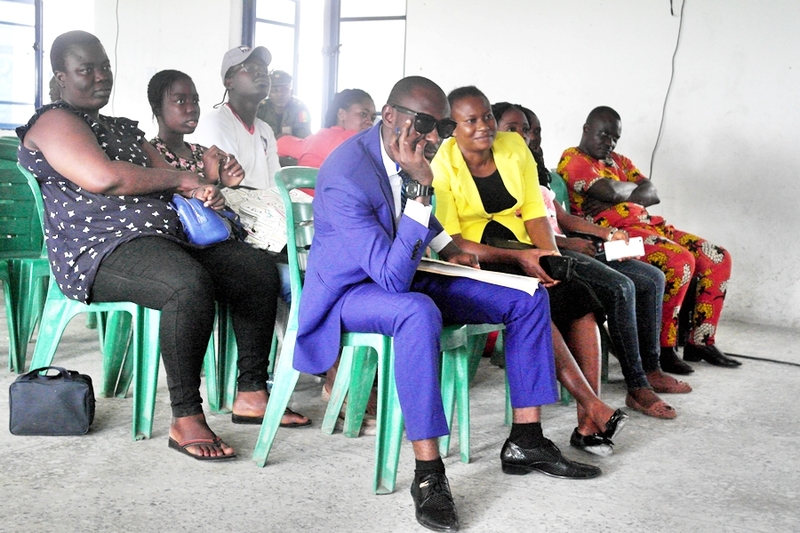 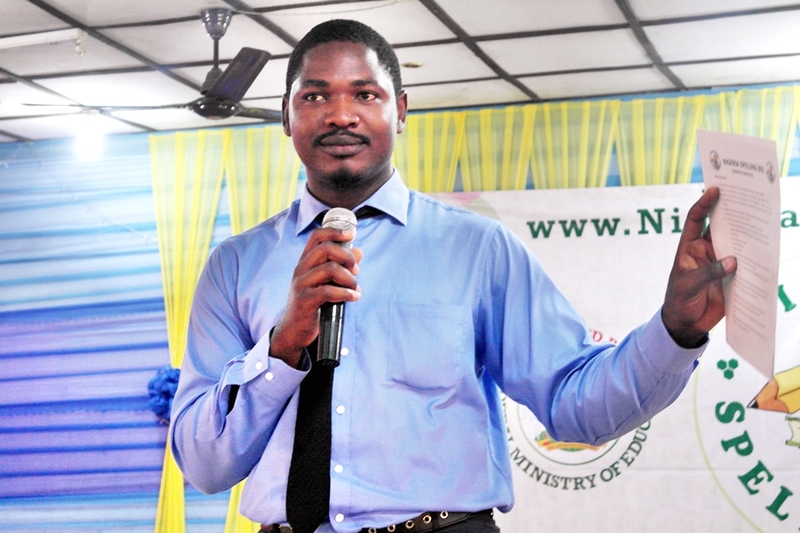 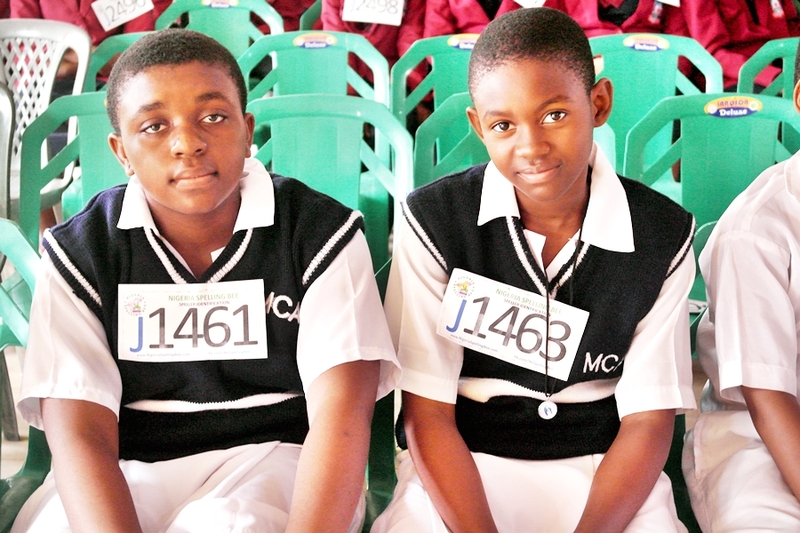 The Cross River state qualifier of the competition held on the 6th of February in Calabar. 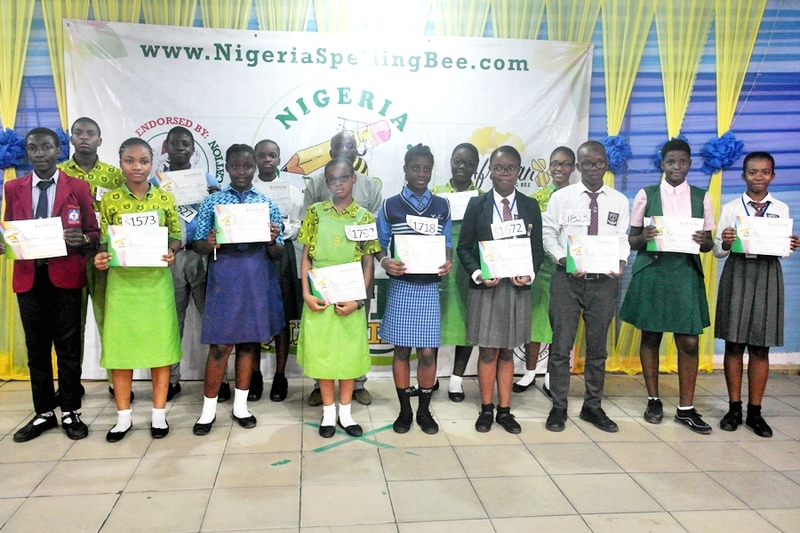 After 3 rounds, these spellers emerged the top spellers to represent the state at the South-South Regional level. 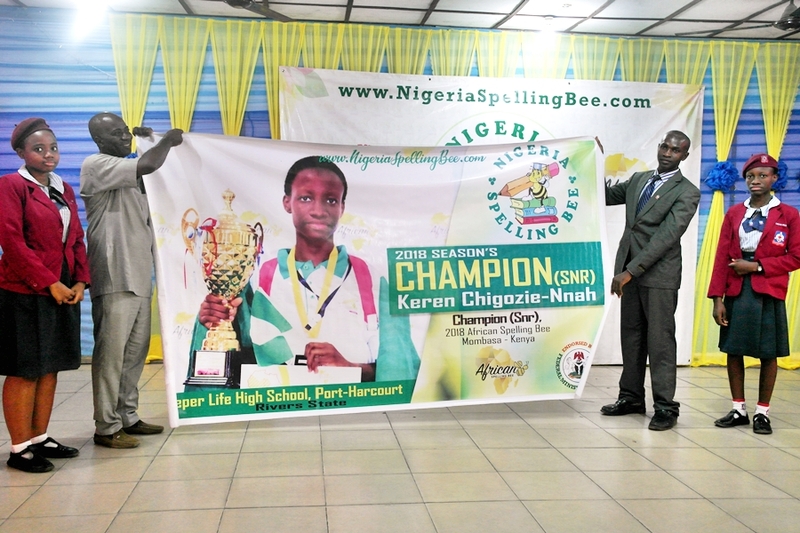 National Champions win a N1,000,000 Scholarship ad an all-expense-paid trip to represent Nigeria at the African Spelling Bee in Uganda. 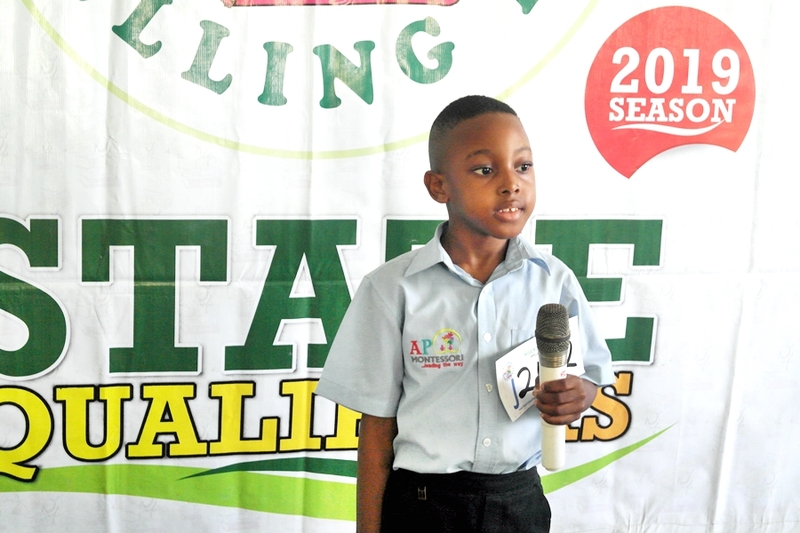 Thanks to our host school, AP Montessori School Calabar for hosting the competition. 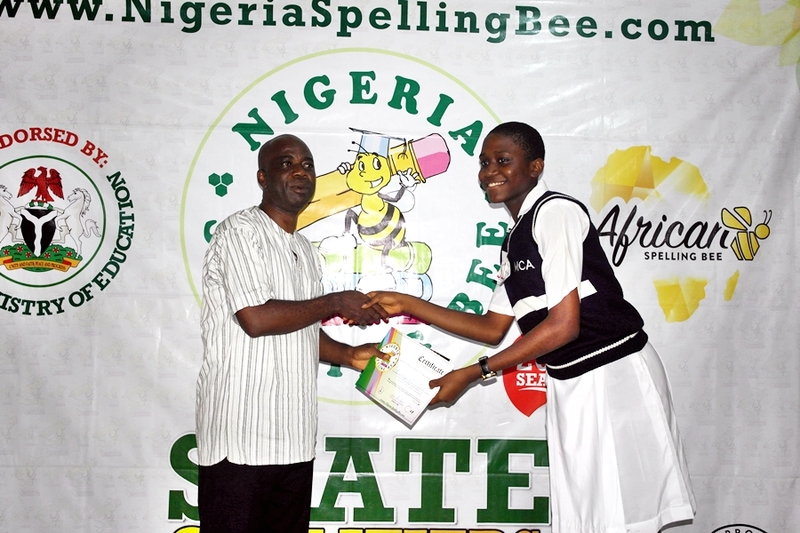 A big thanks to all participating schools and coaches. 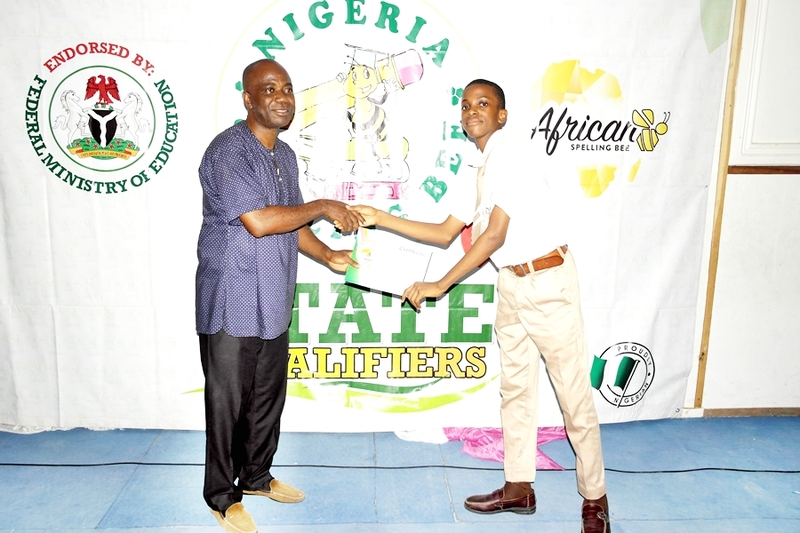 The Anambra state qualifier of the competition held yesterday, 2nd February at All Hallows Seminary Onitsha. 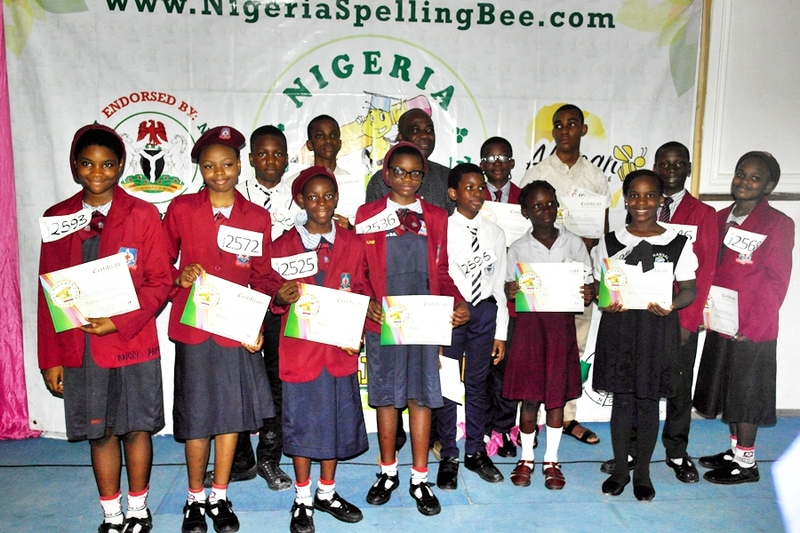 There, these spellers will go on to represent the state at the South-East regionals level of the contest. 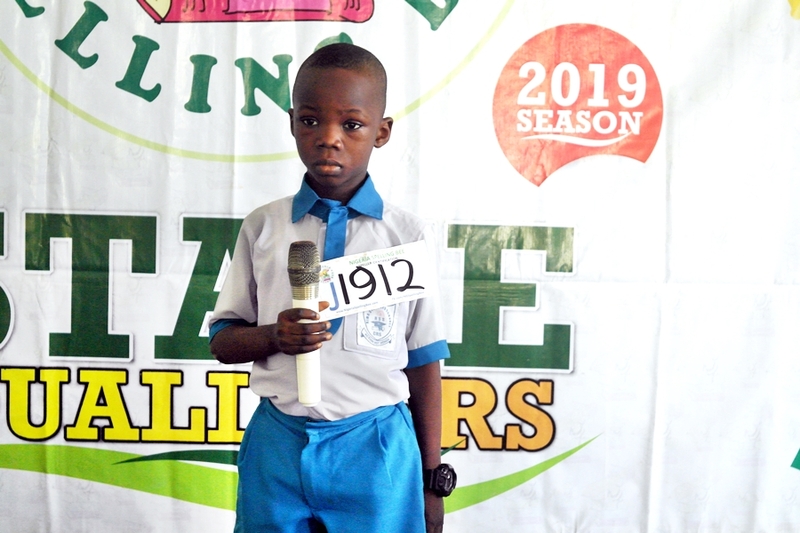 The Ogun State qualifiers of the Nigeria Spelling Bee has just been concluded with the most exceptional spellers clinching slots to represent the state at the regional stage of the contest. 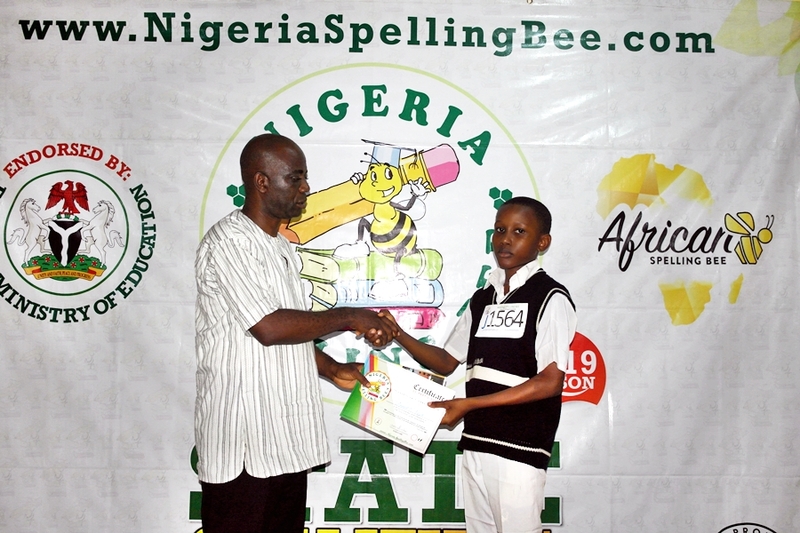 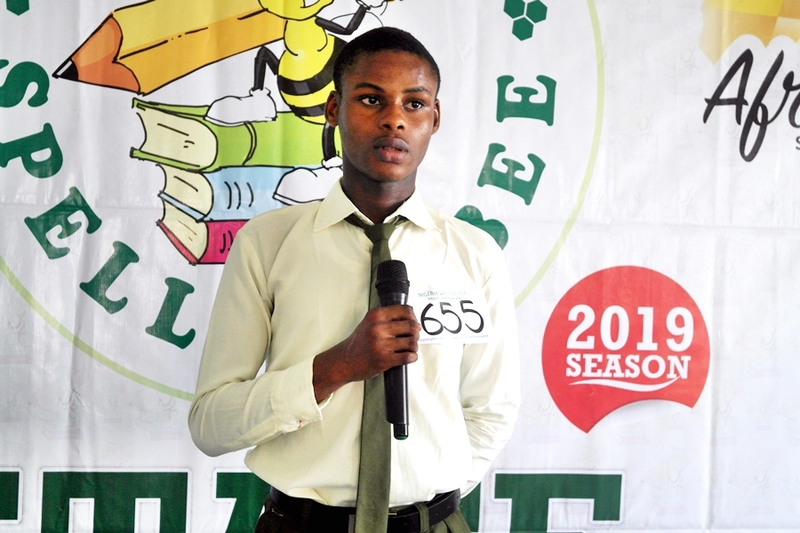 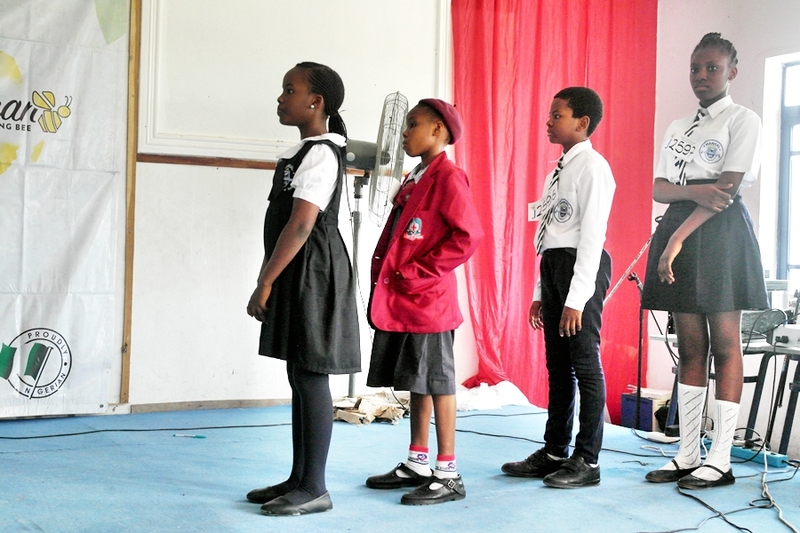 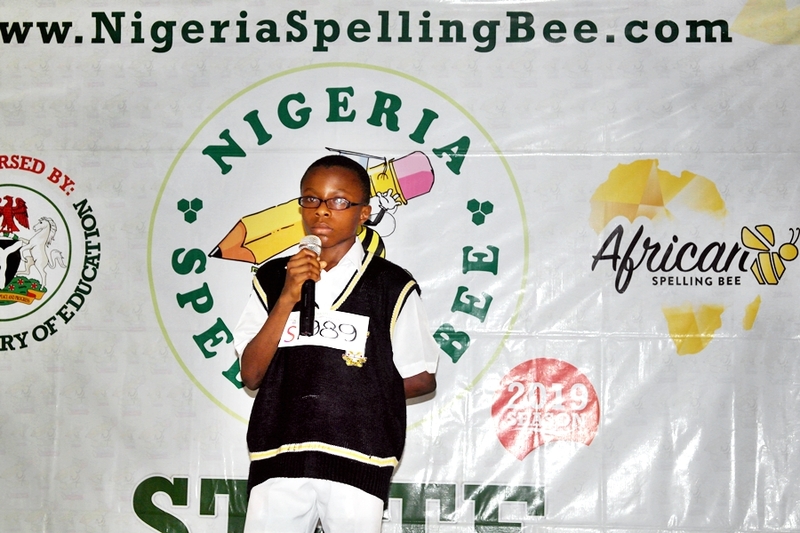 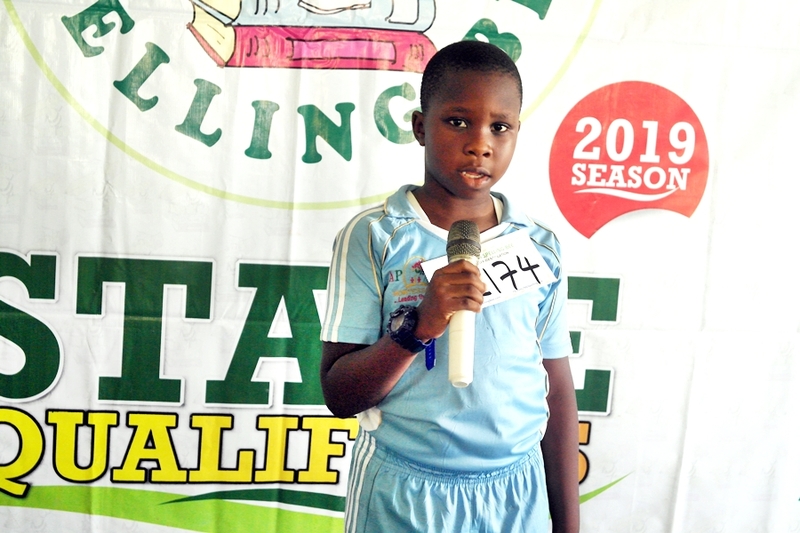 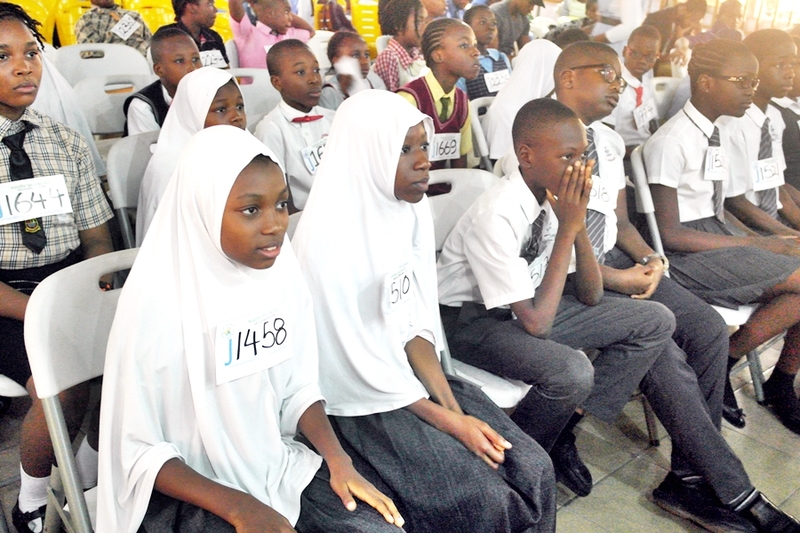 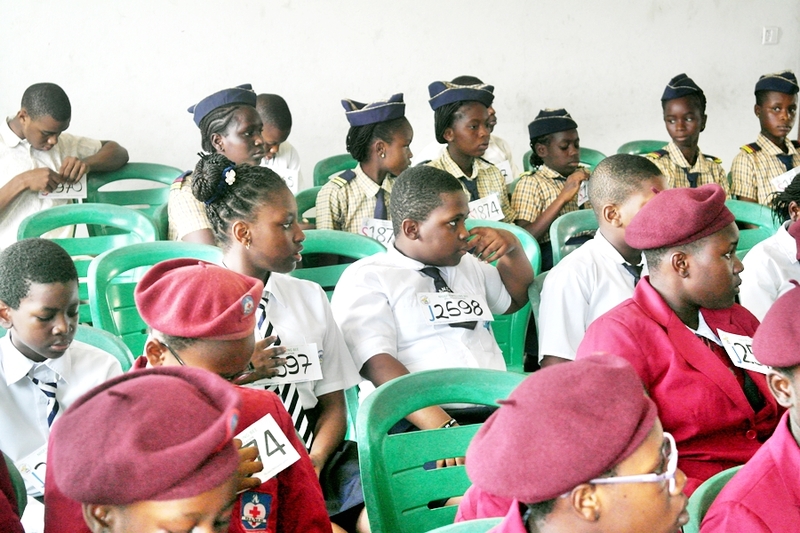 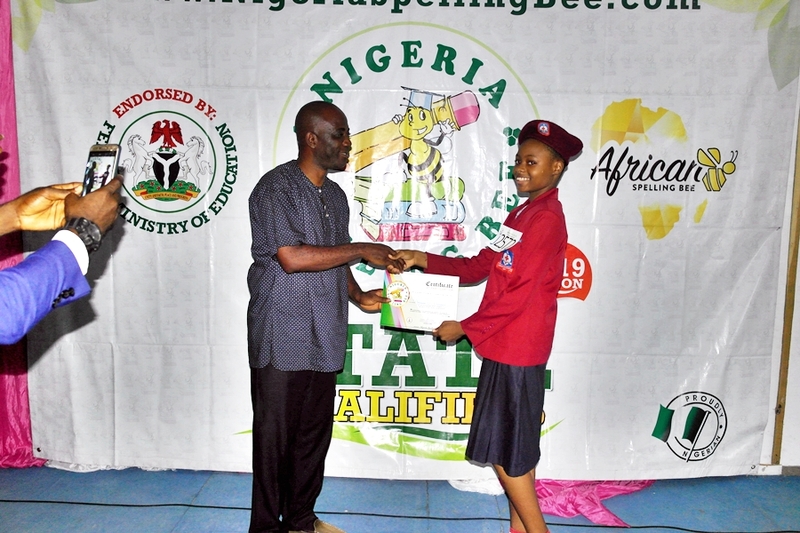 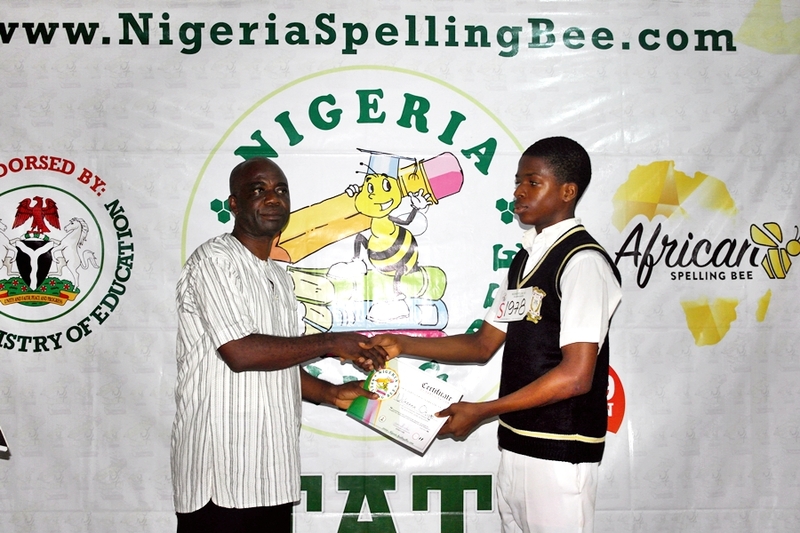 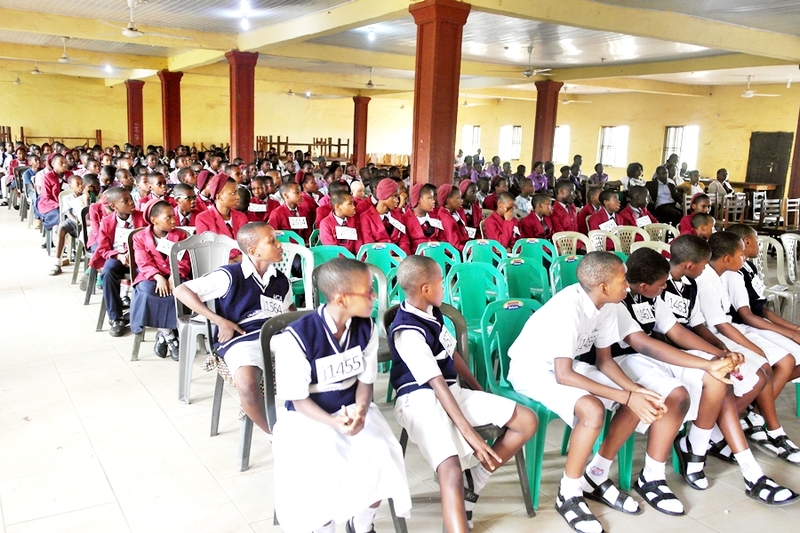 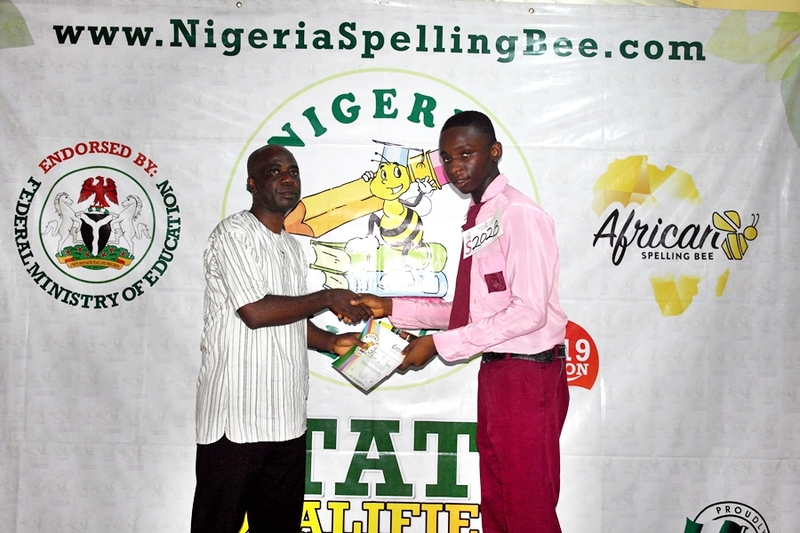 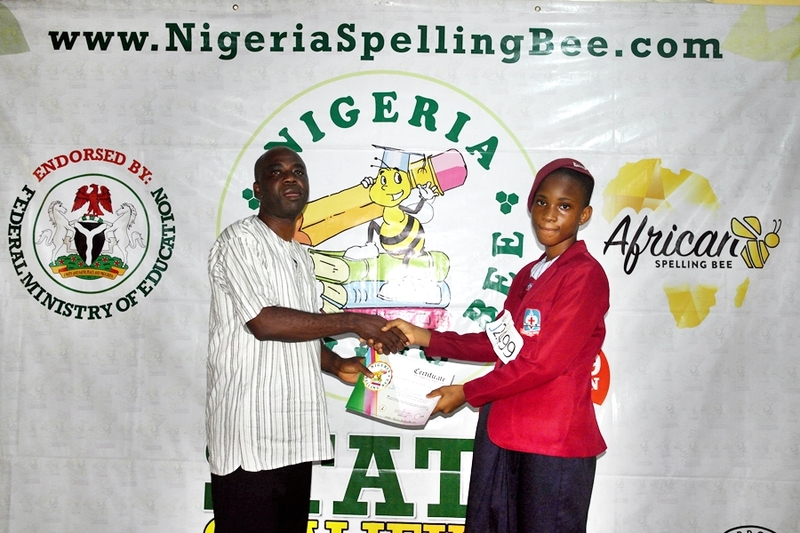 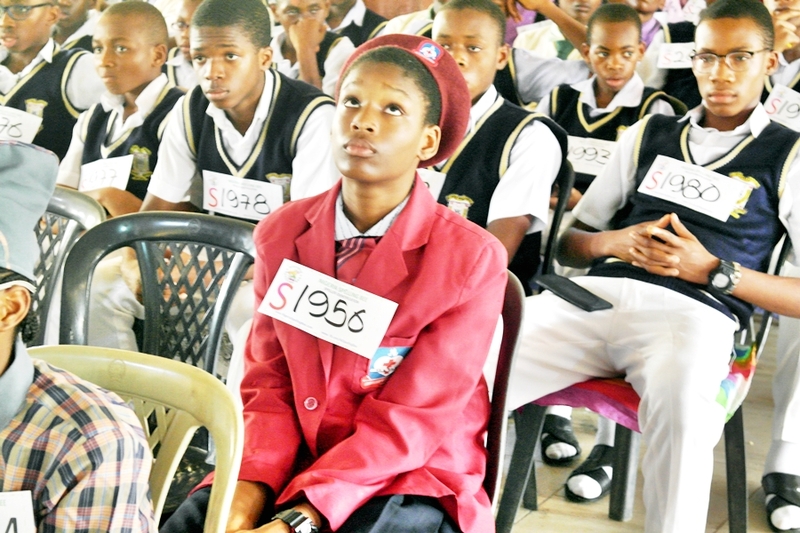 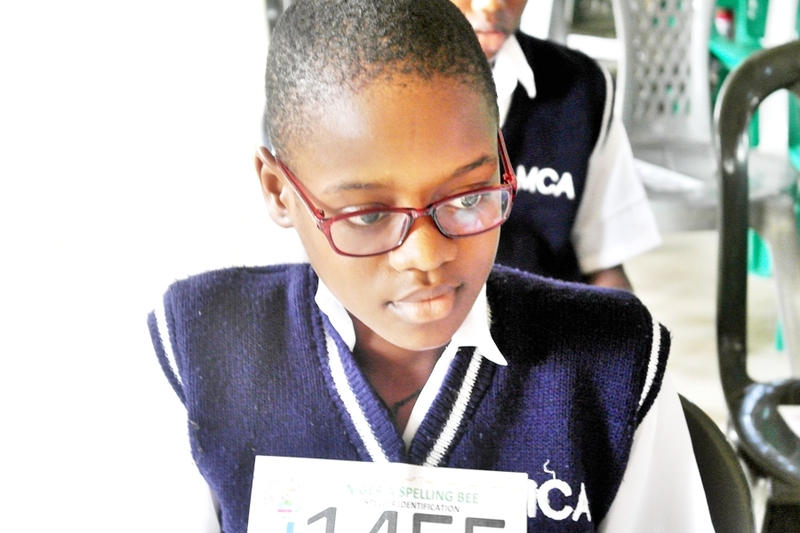 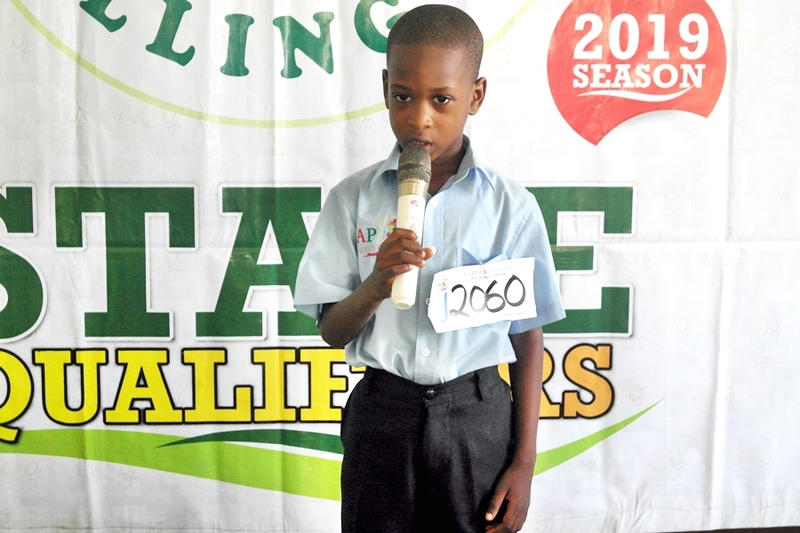 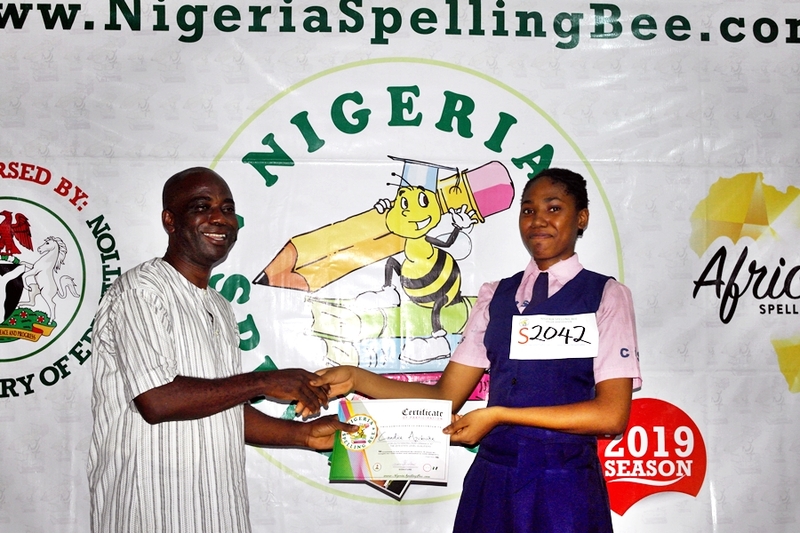 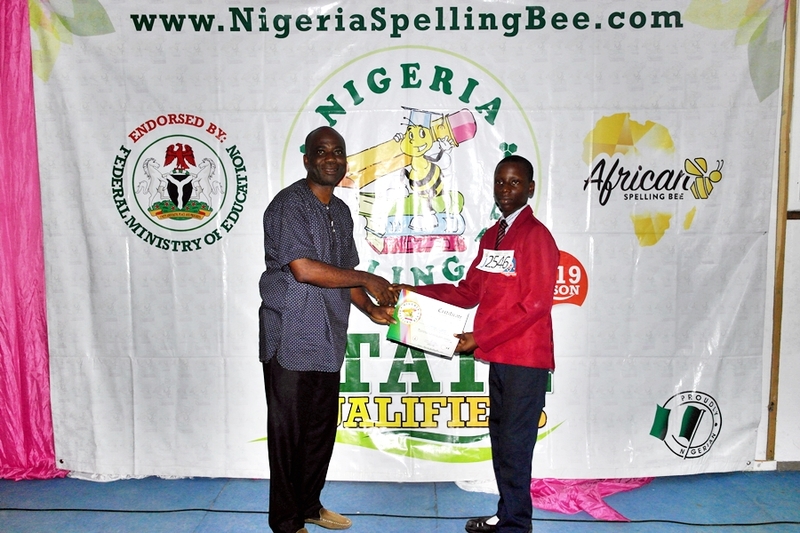 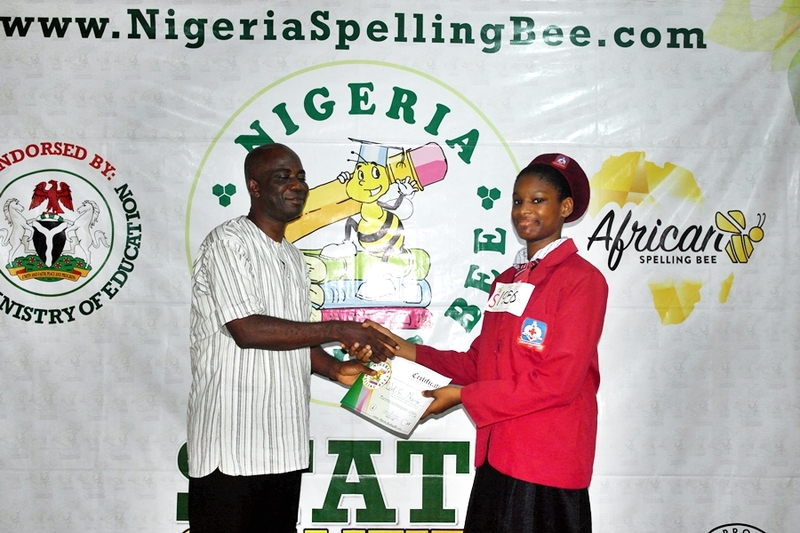 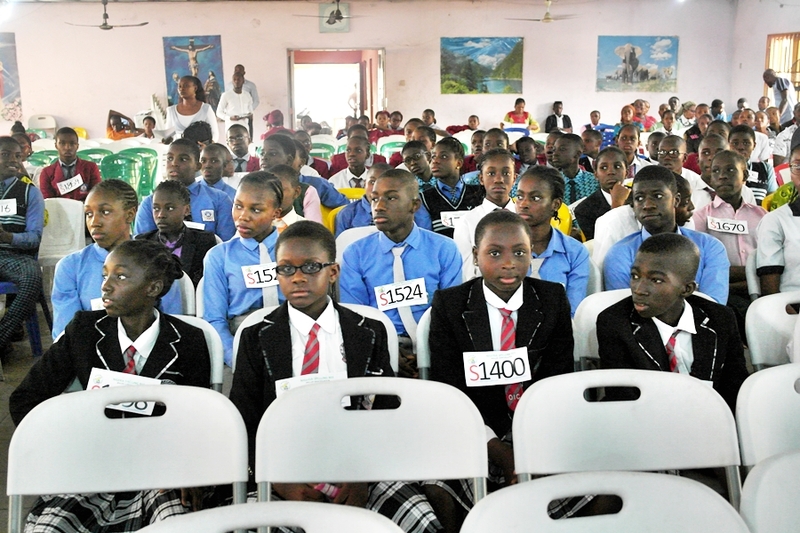 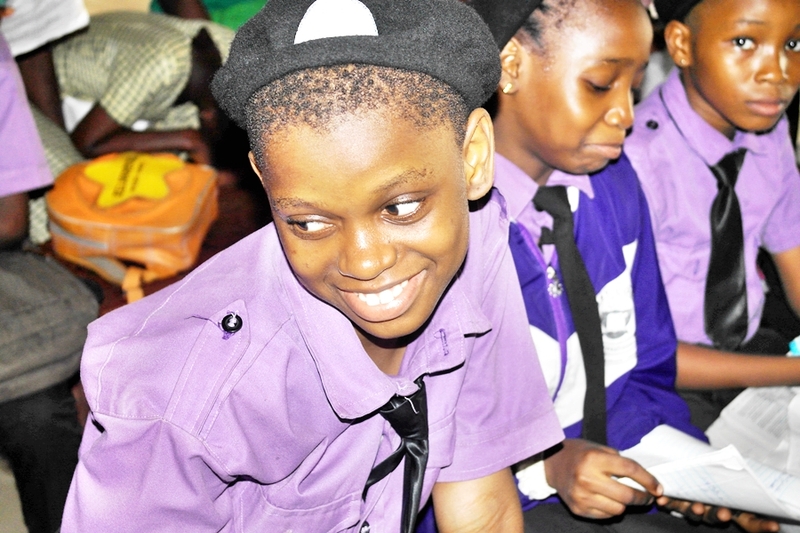 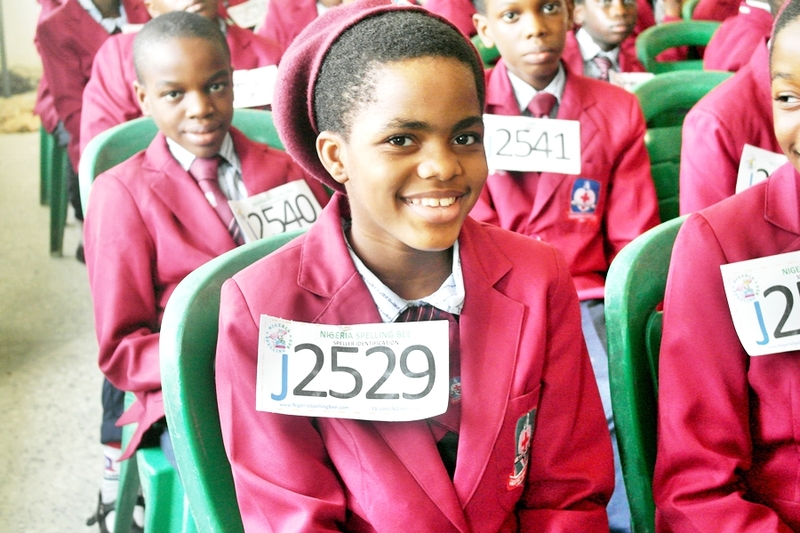 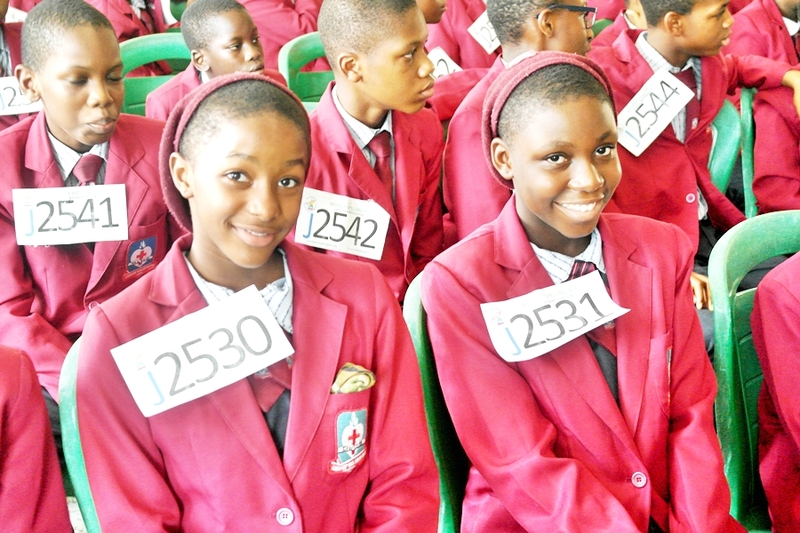 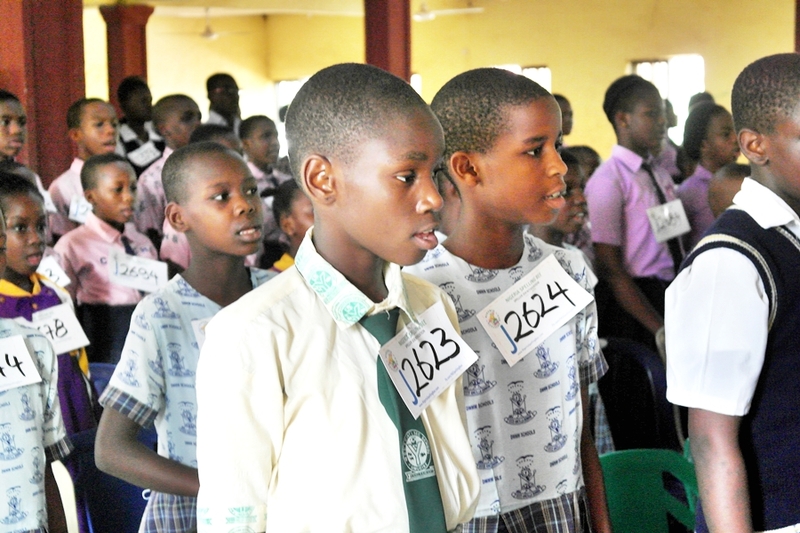 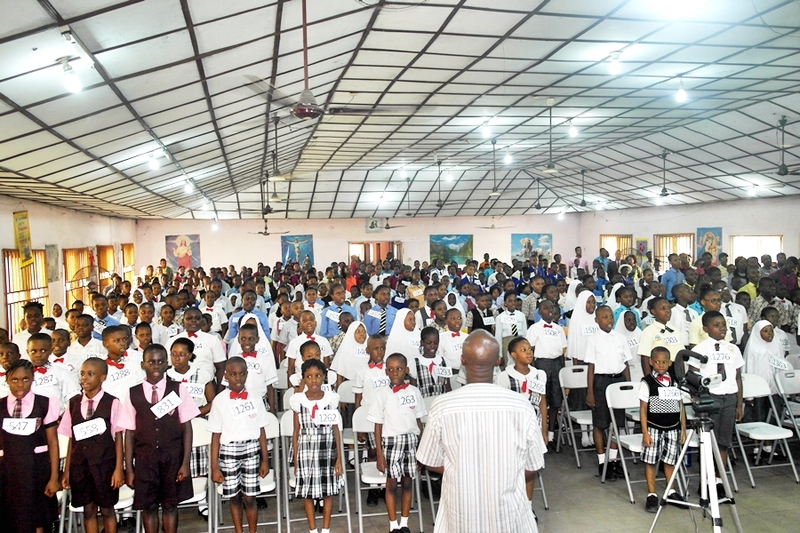 The Nigeria Spelling Bee team was in the Pace Setter state to conduct the Oyo State Qualifier of the event.